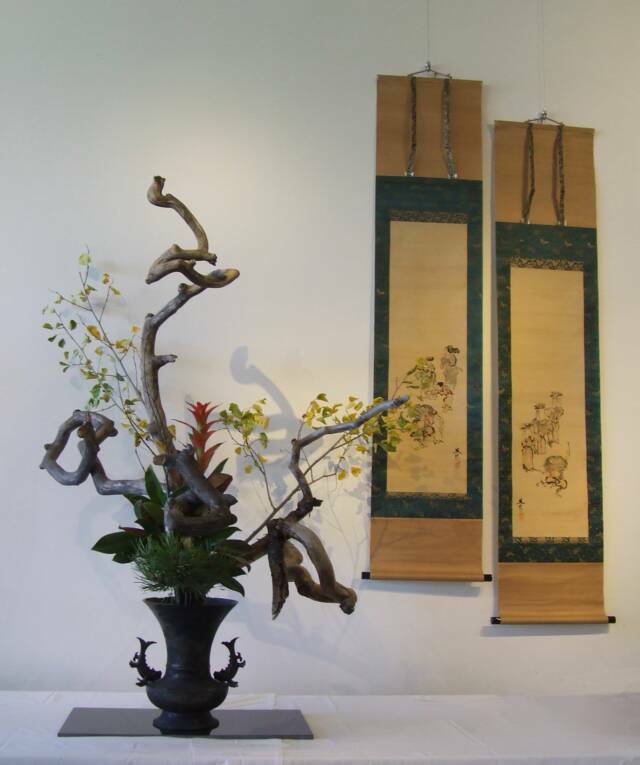 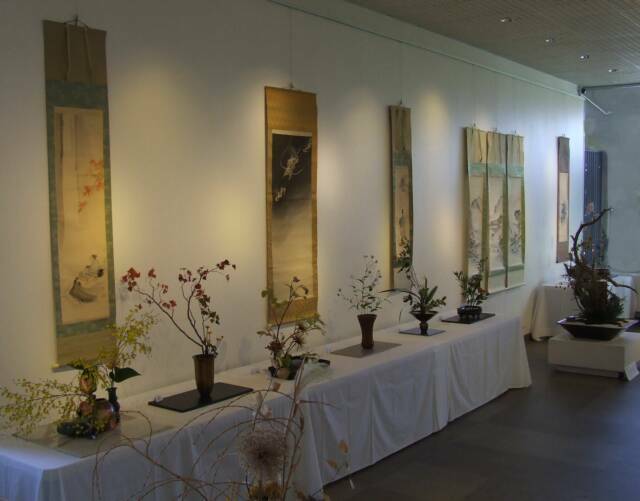 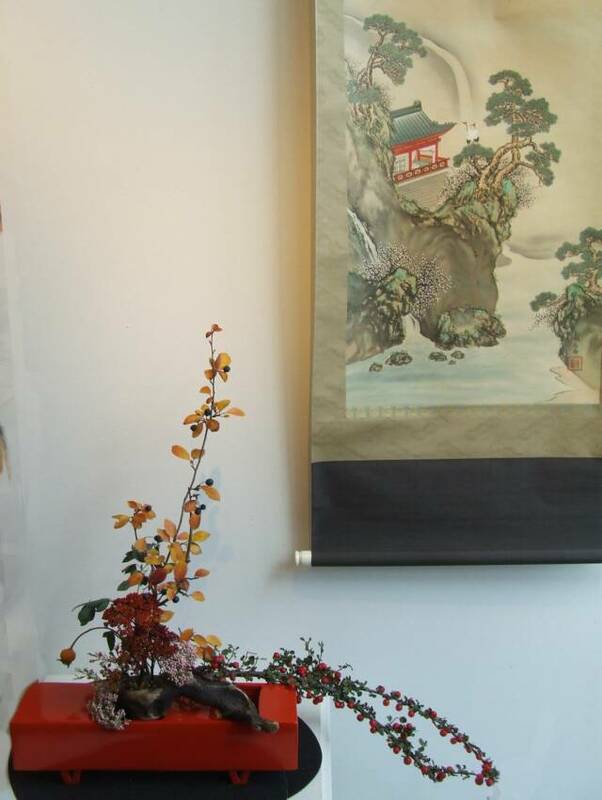 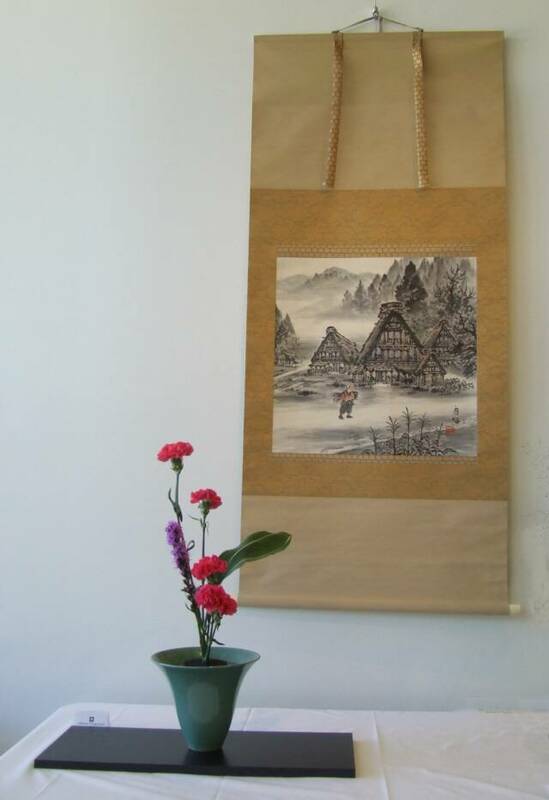 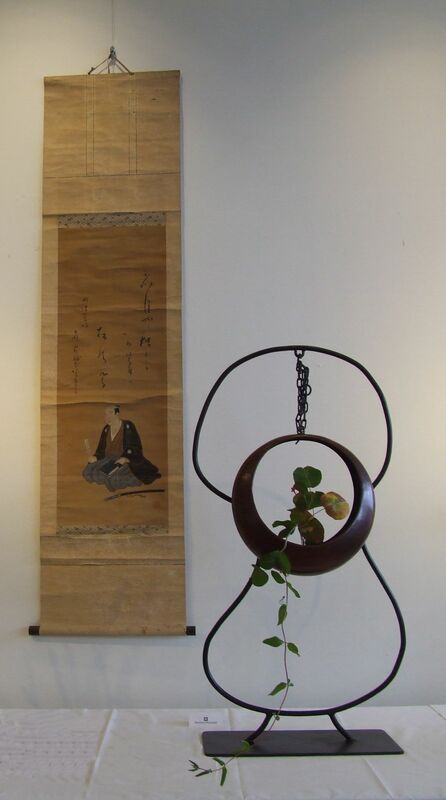 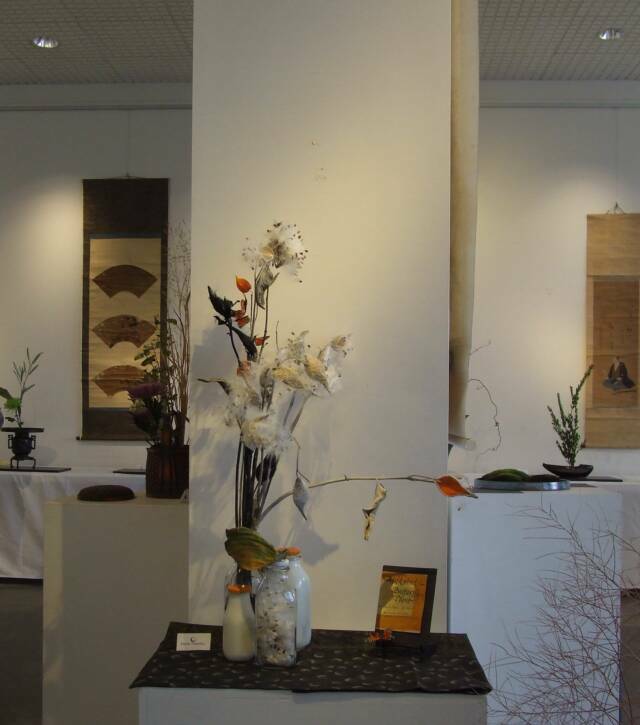 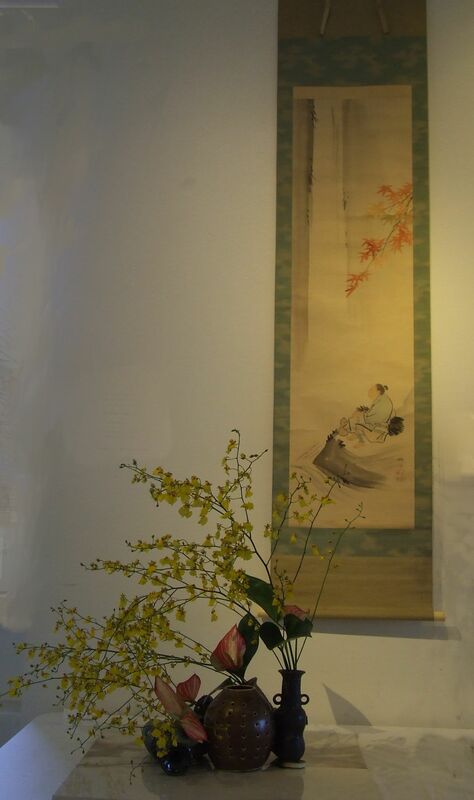 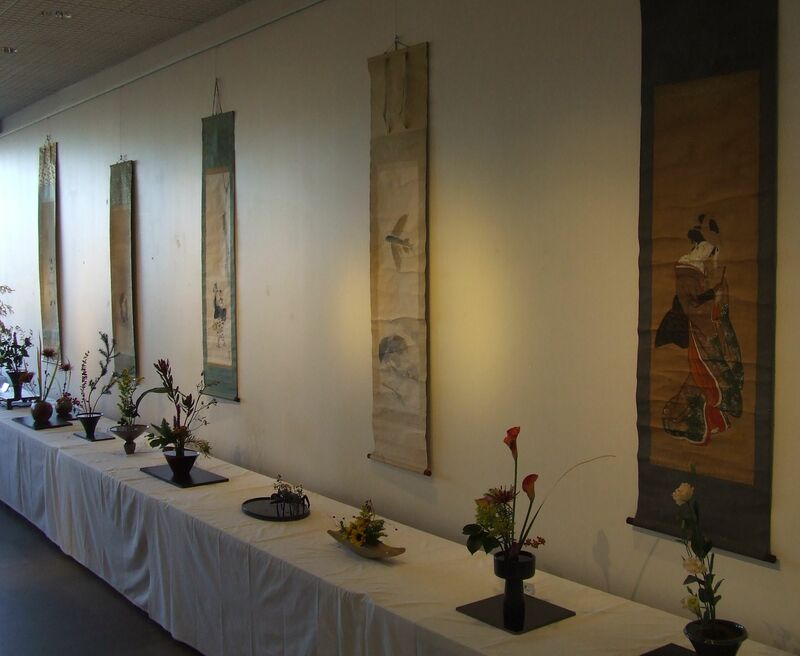 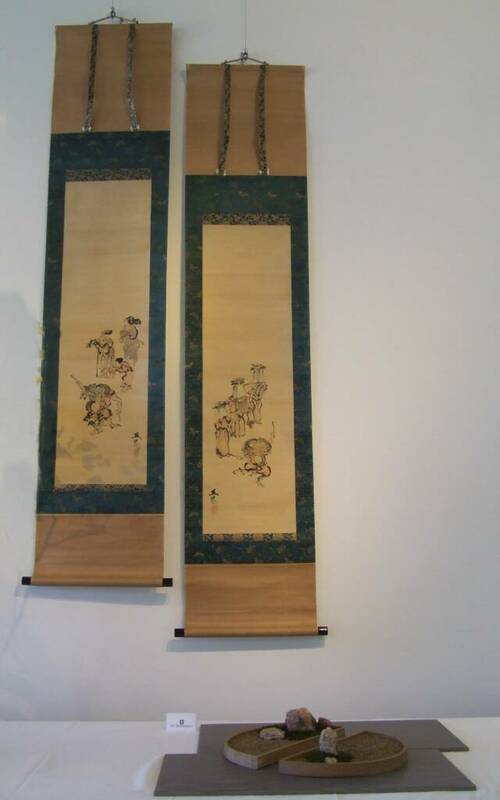 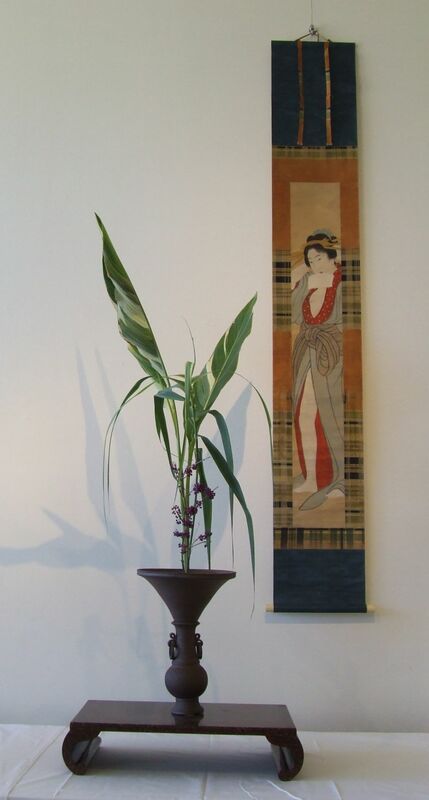 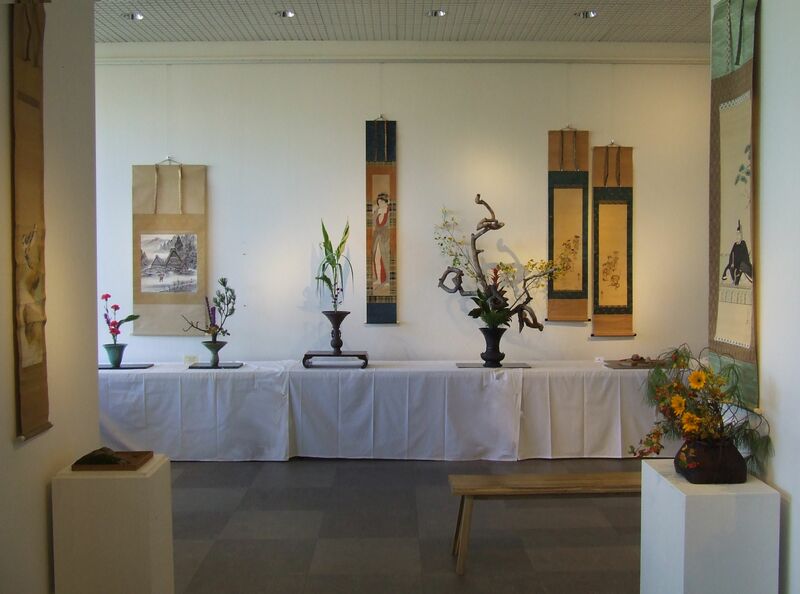 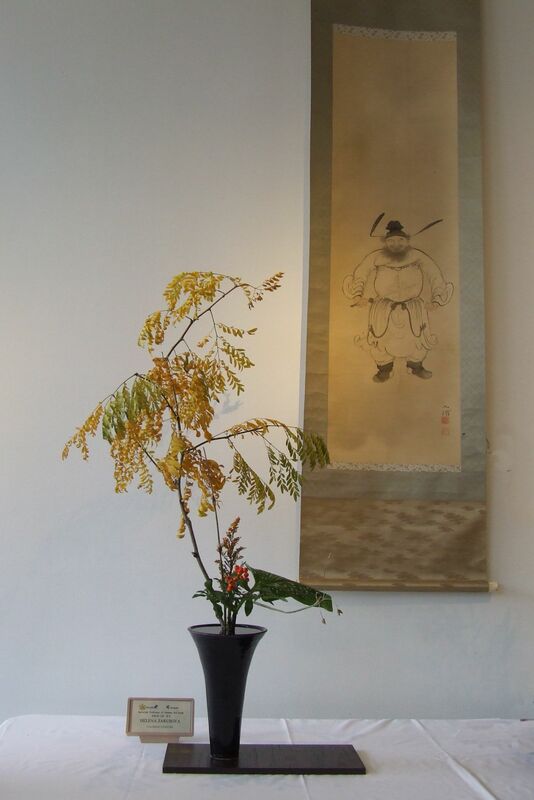 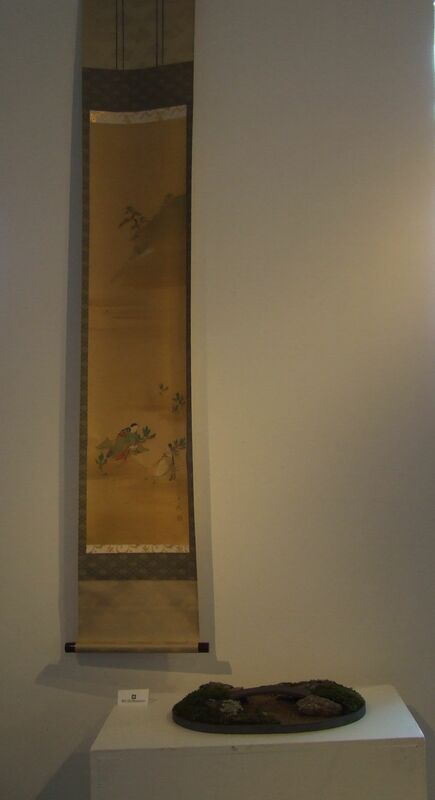 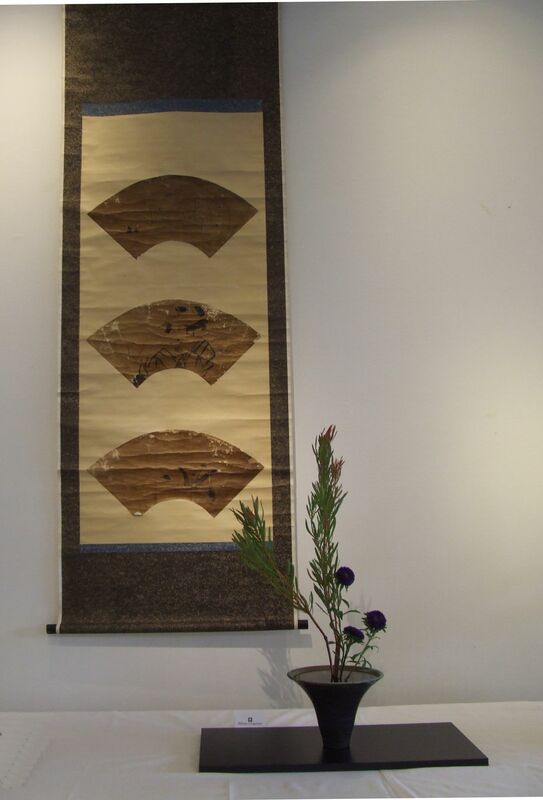 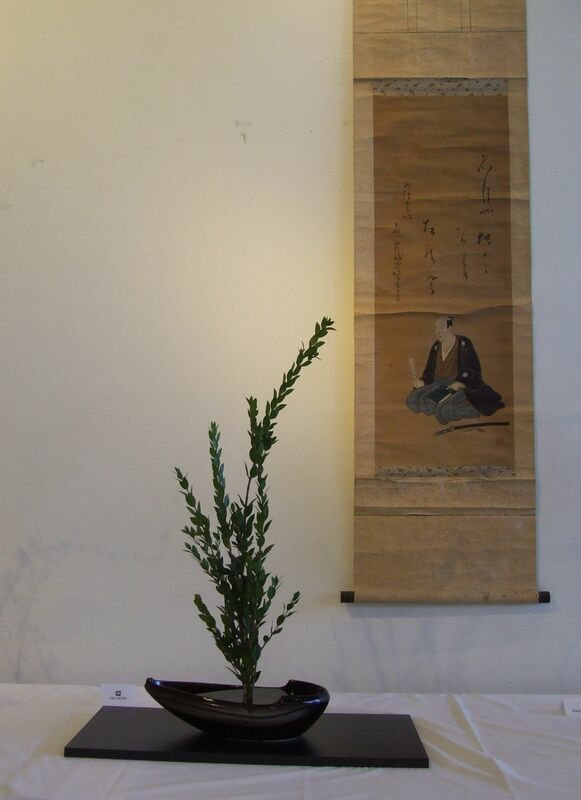 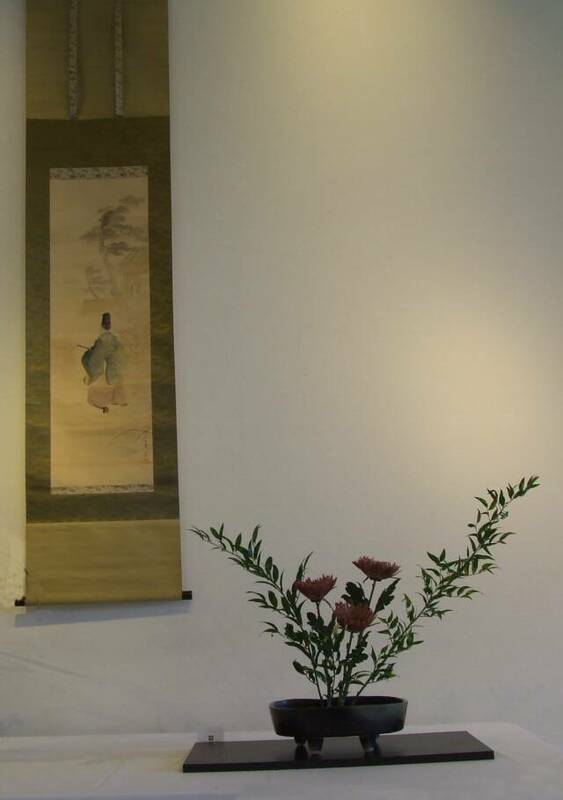 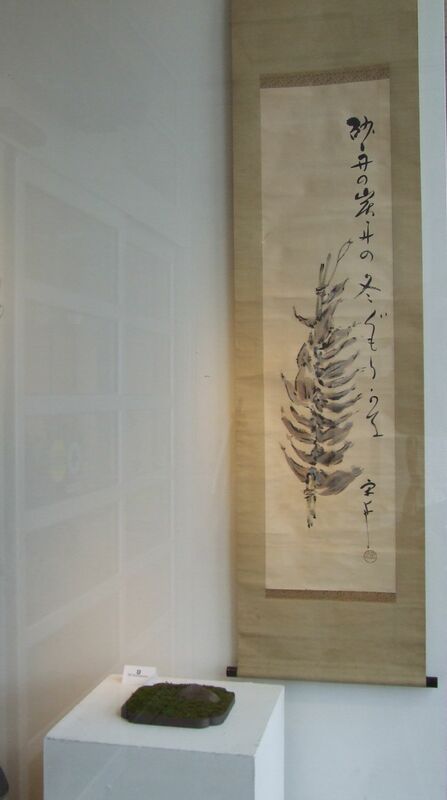 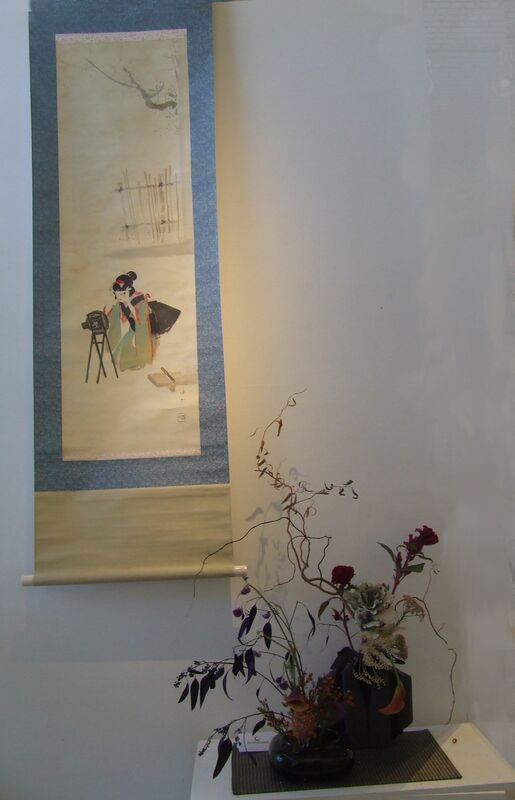 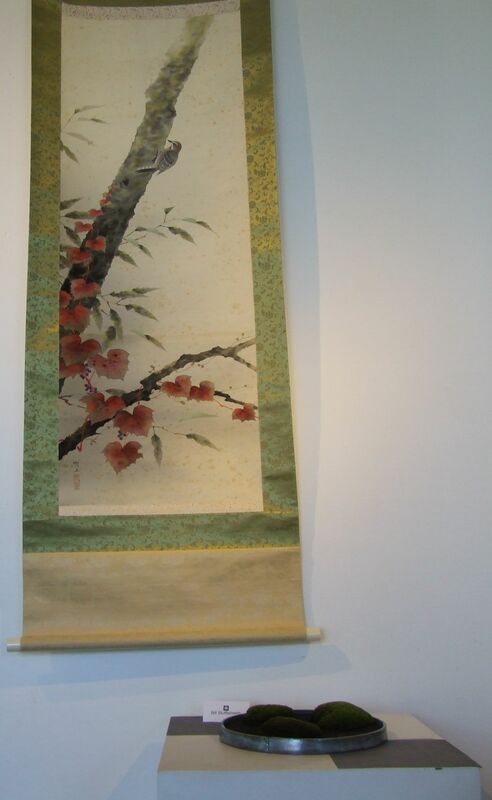 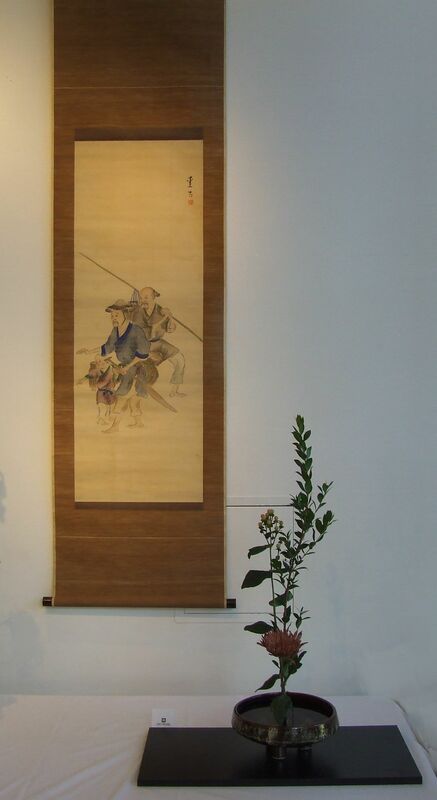 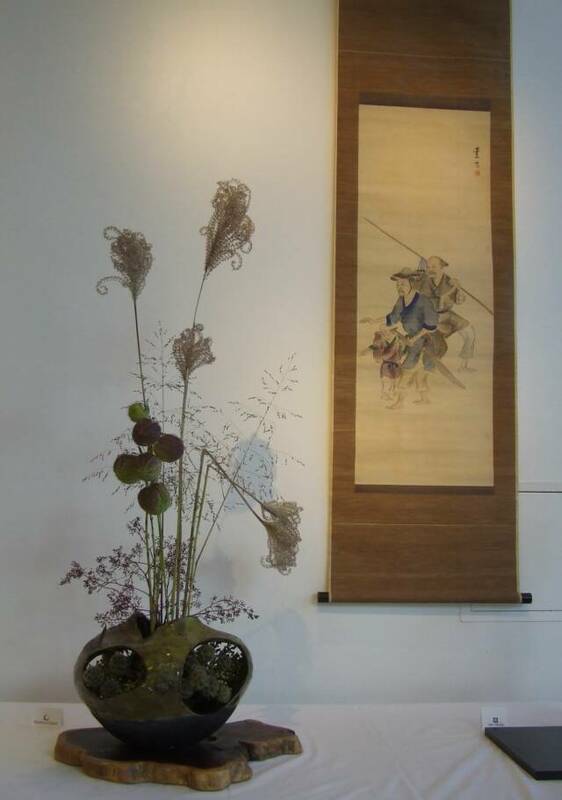 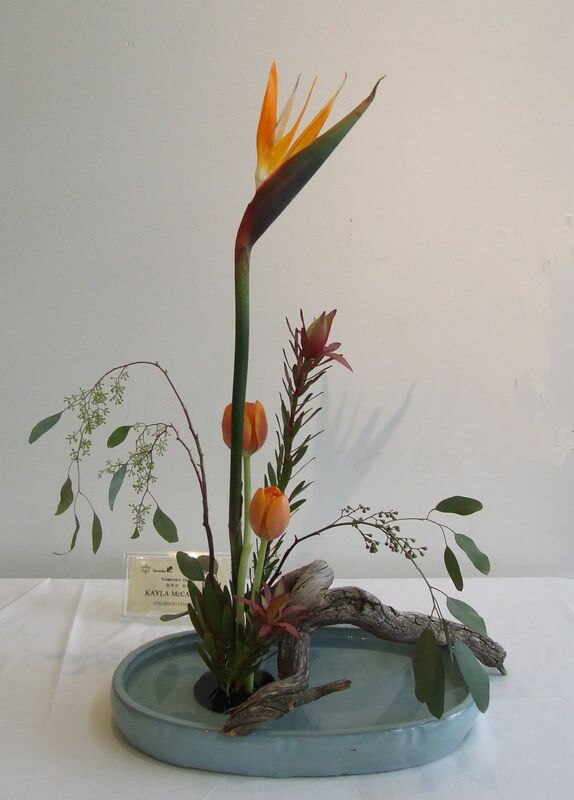 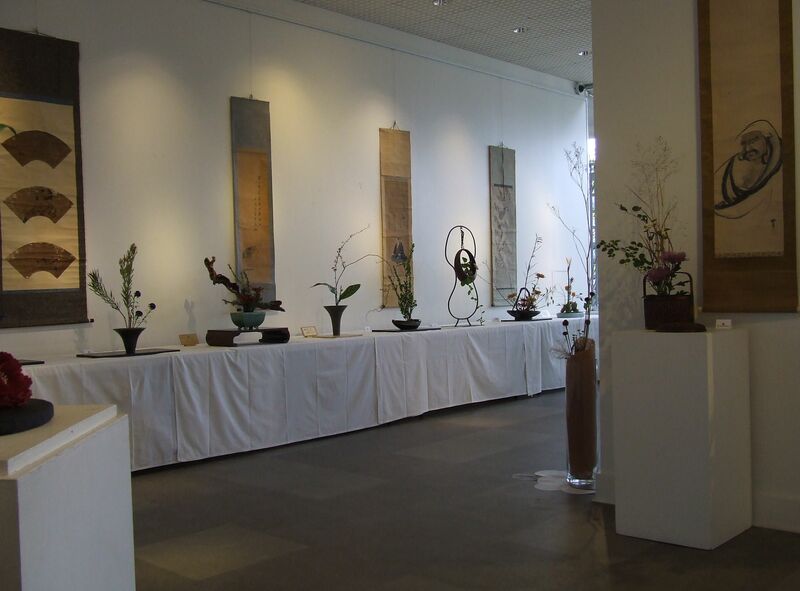 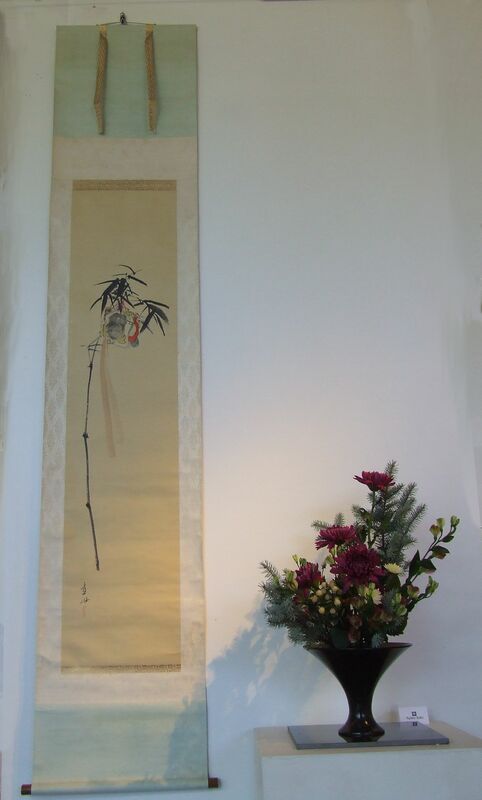 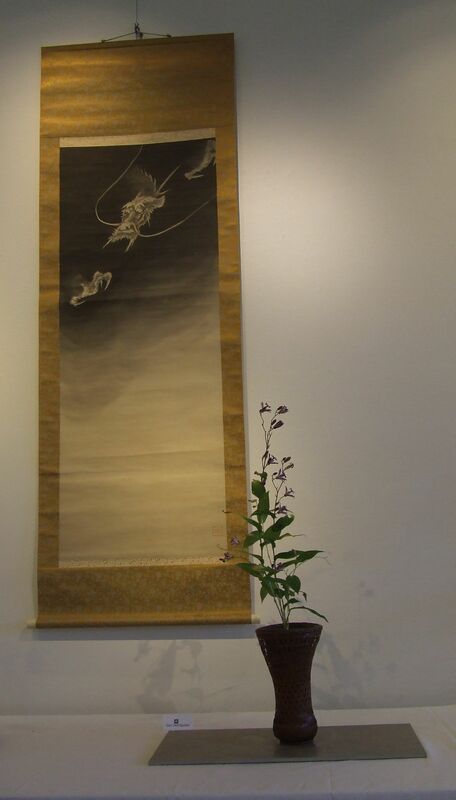 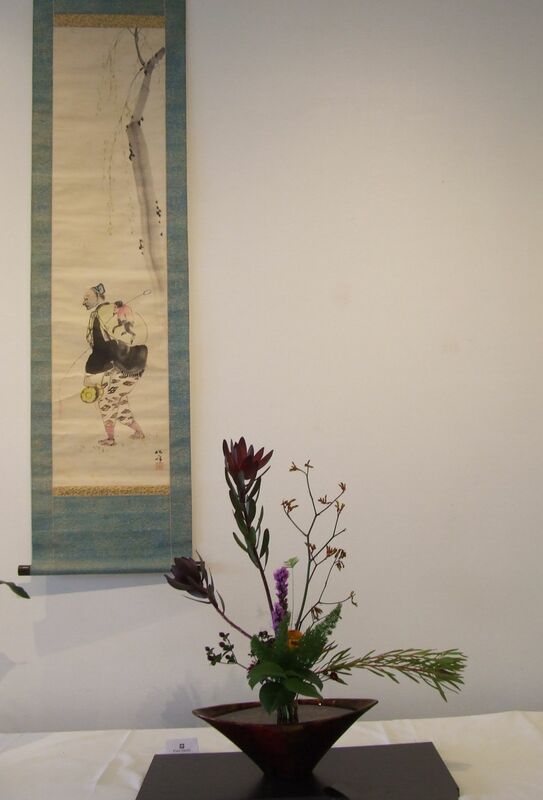 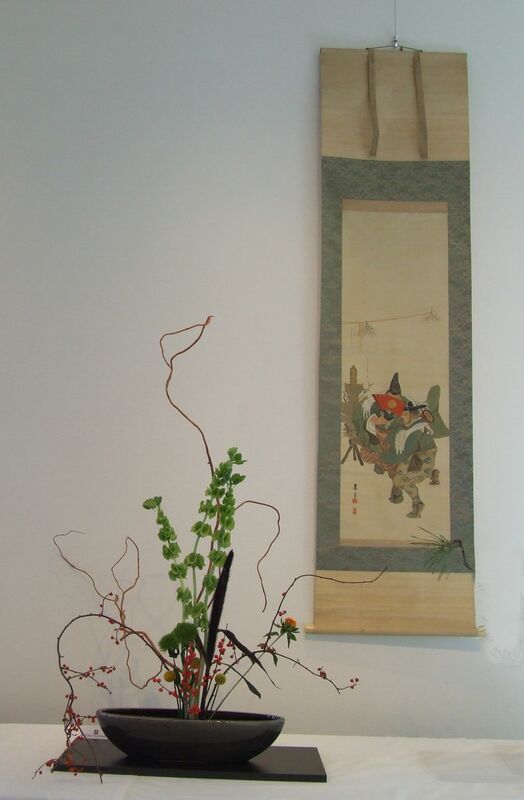 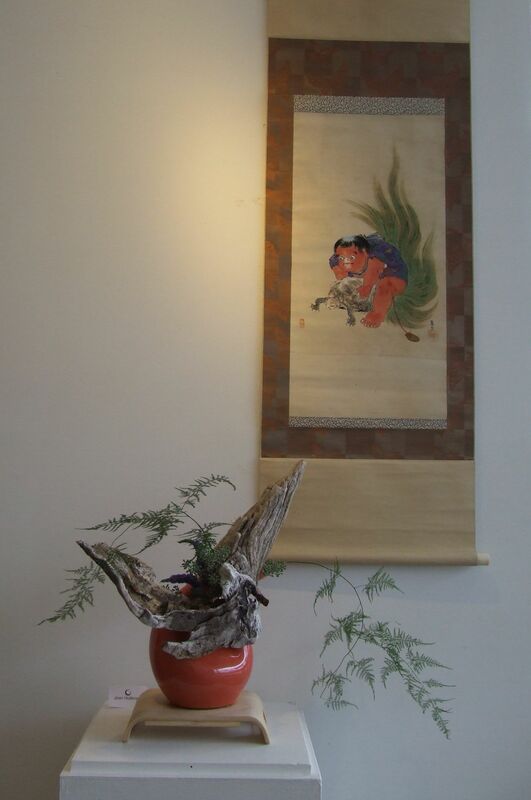 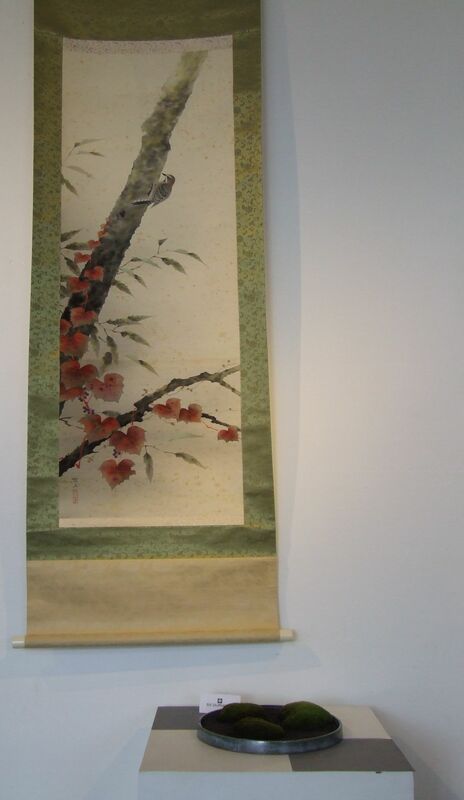 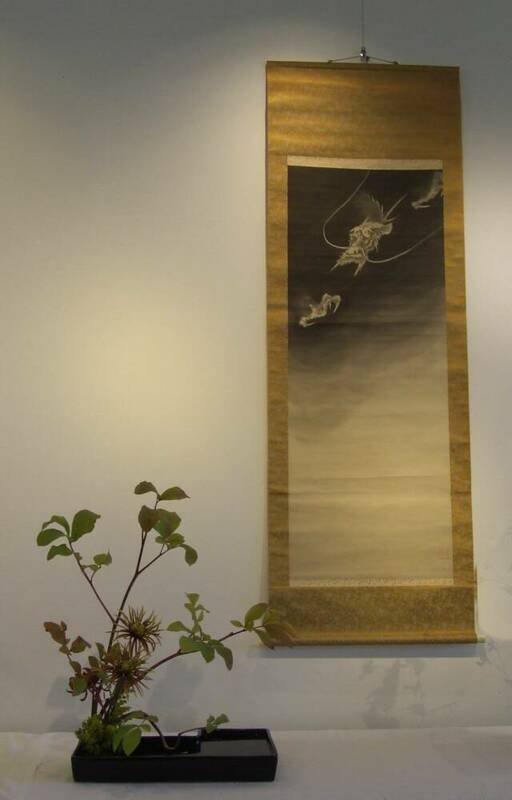 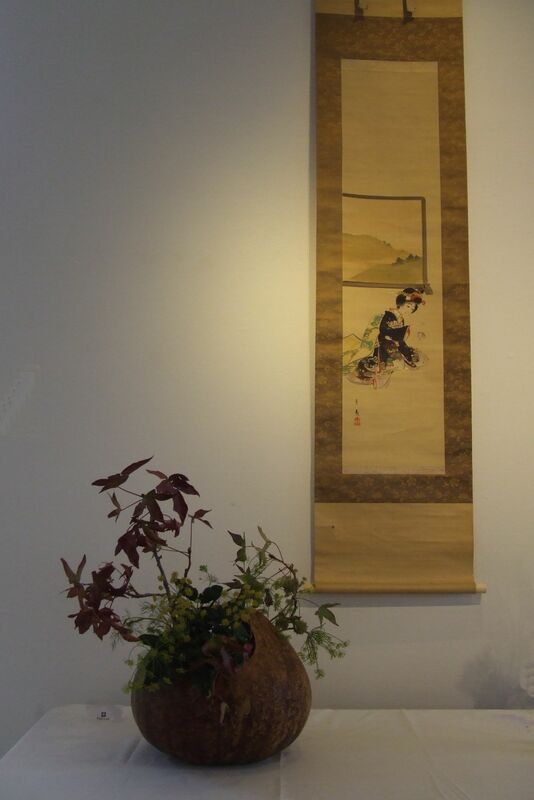 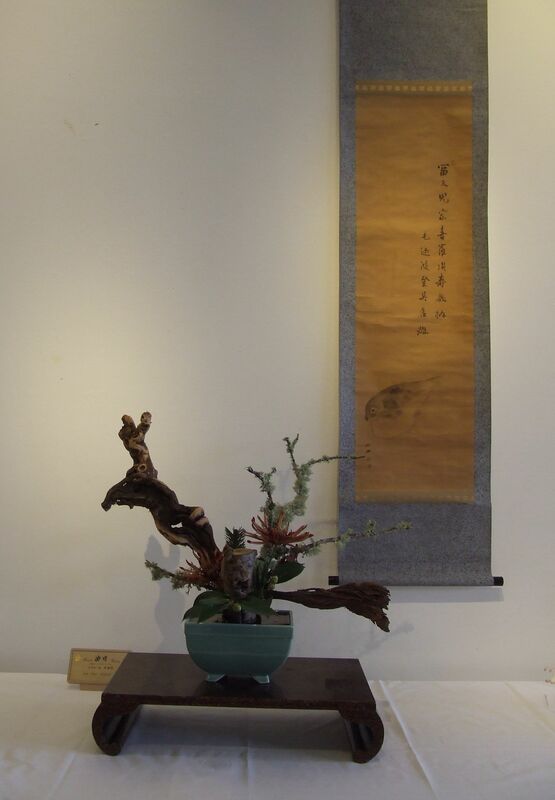 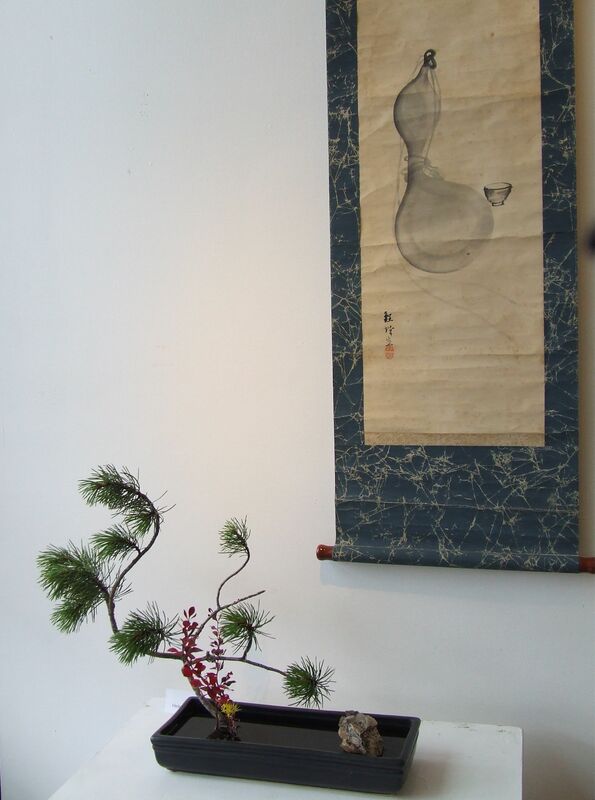 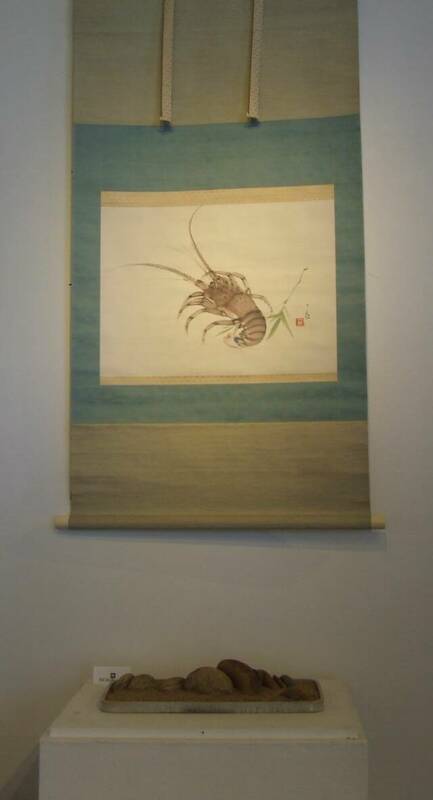 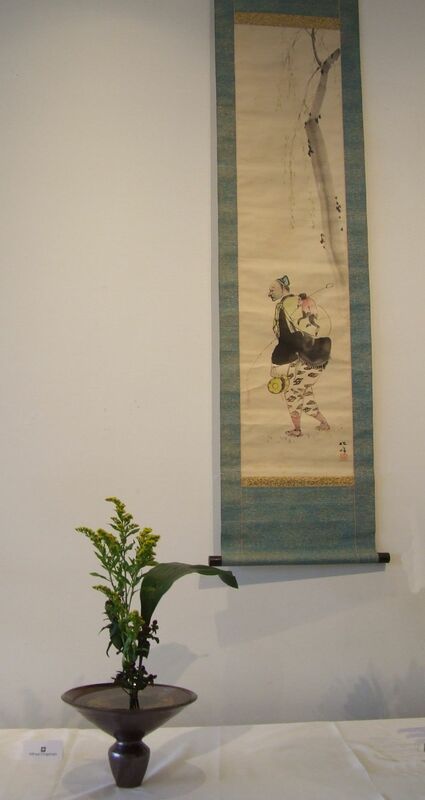 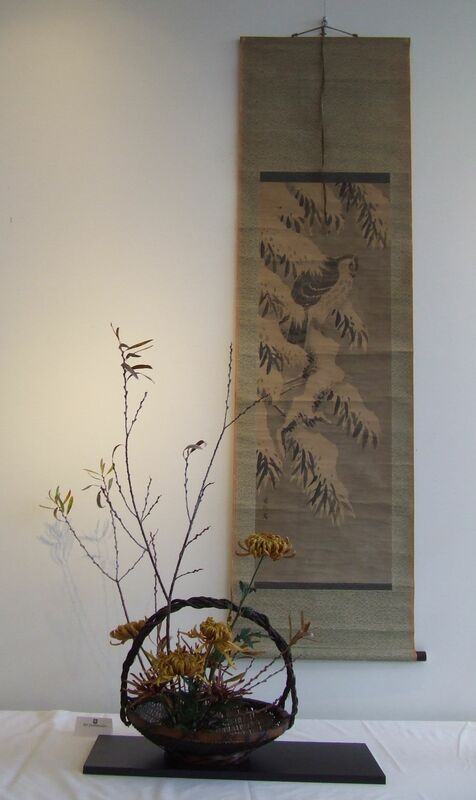 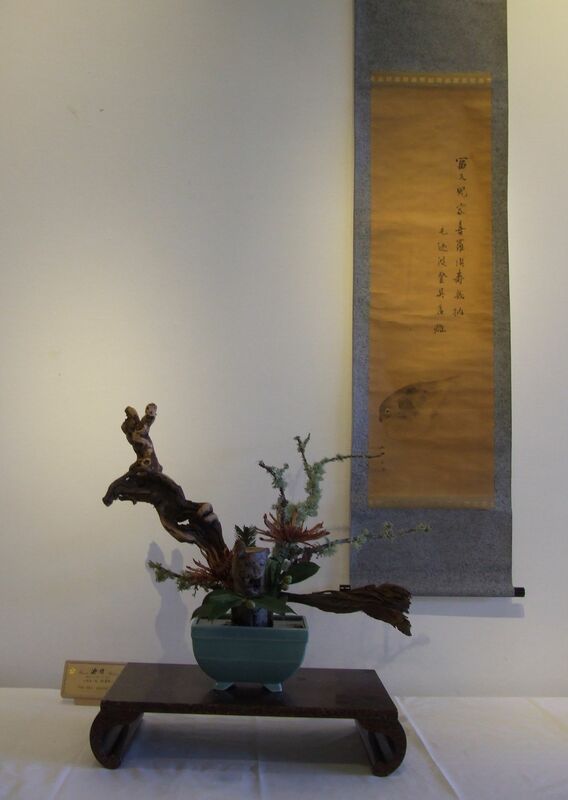 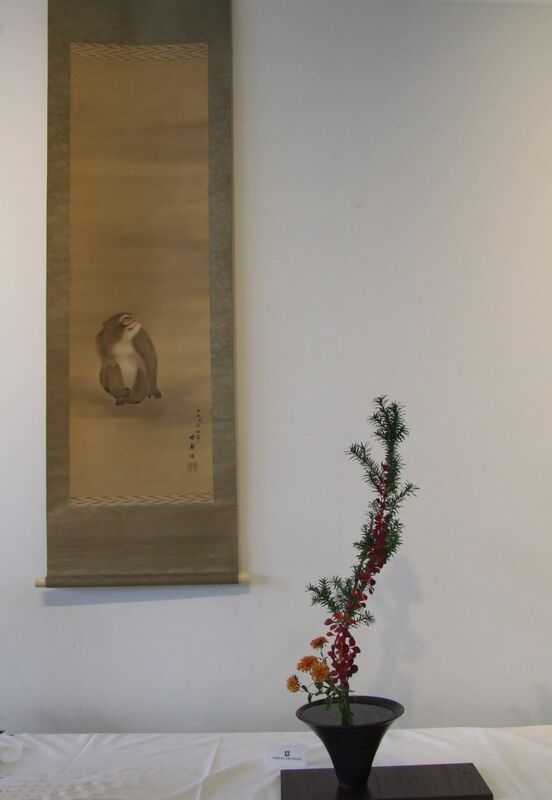 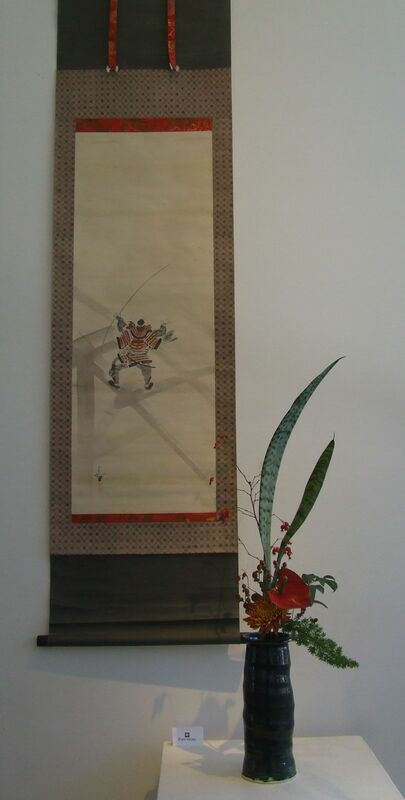 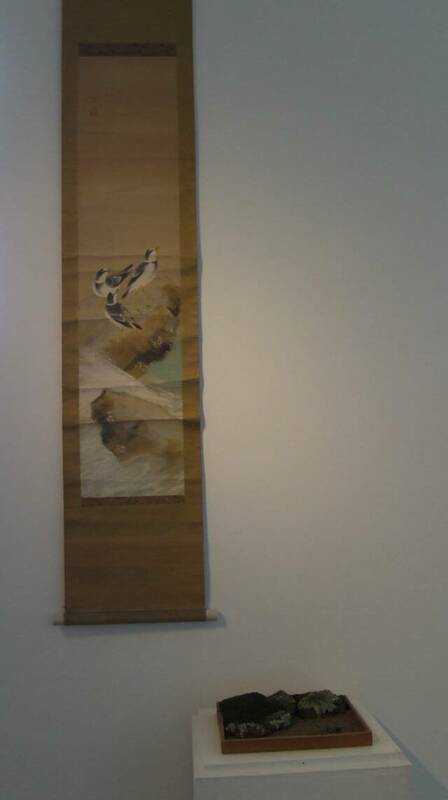 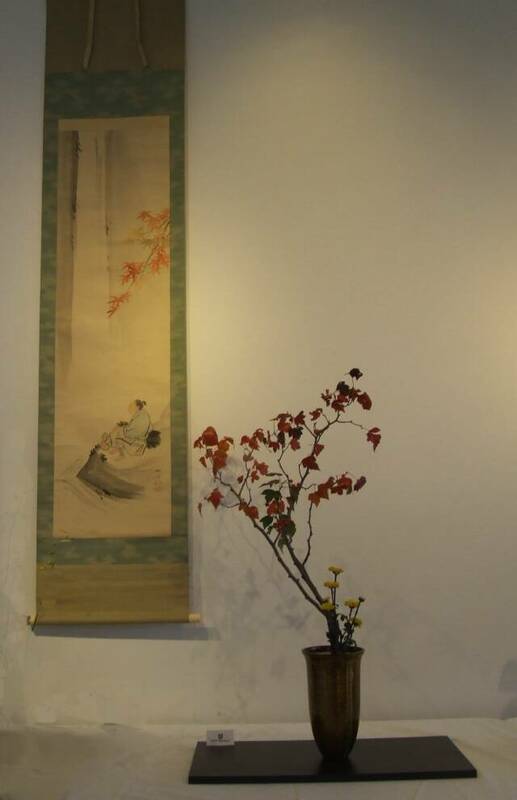 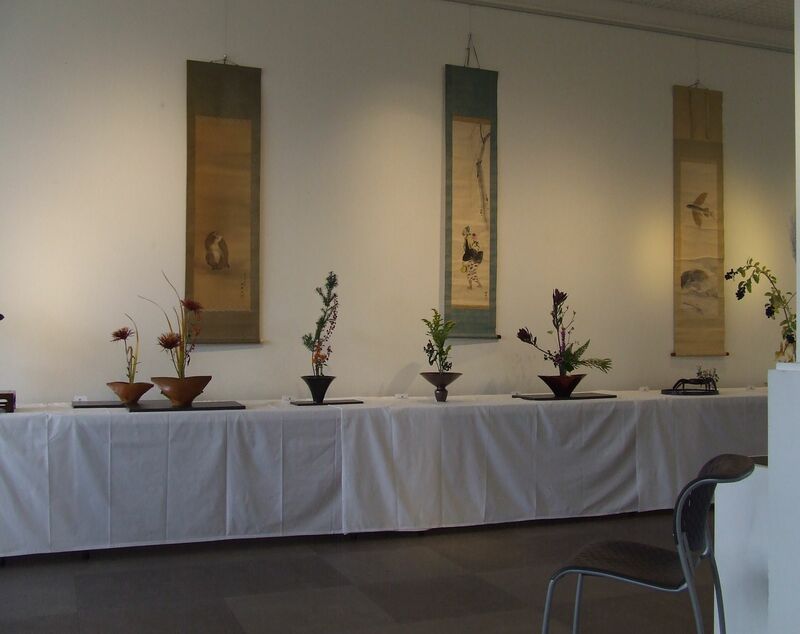 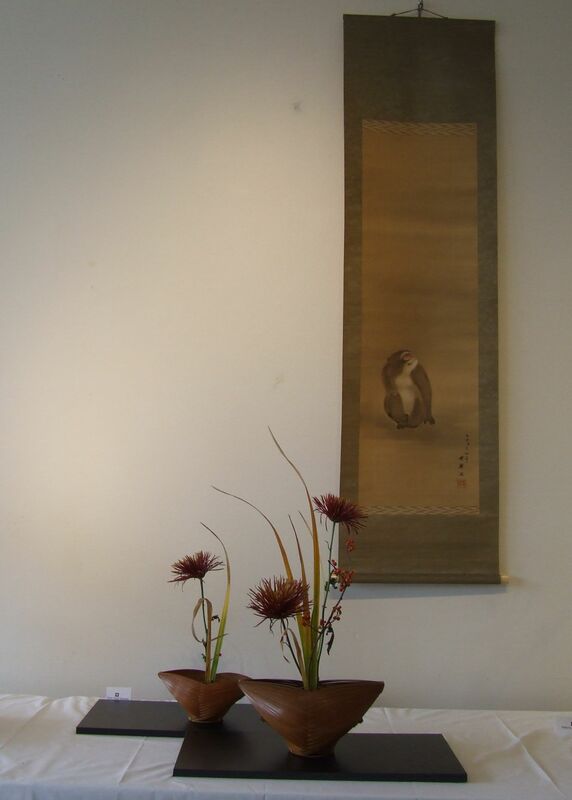 The history of Ikenobo is the history of ikebana. 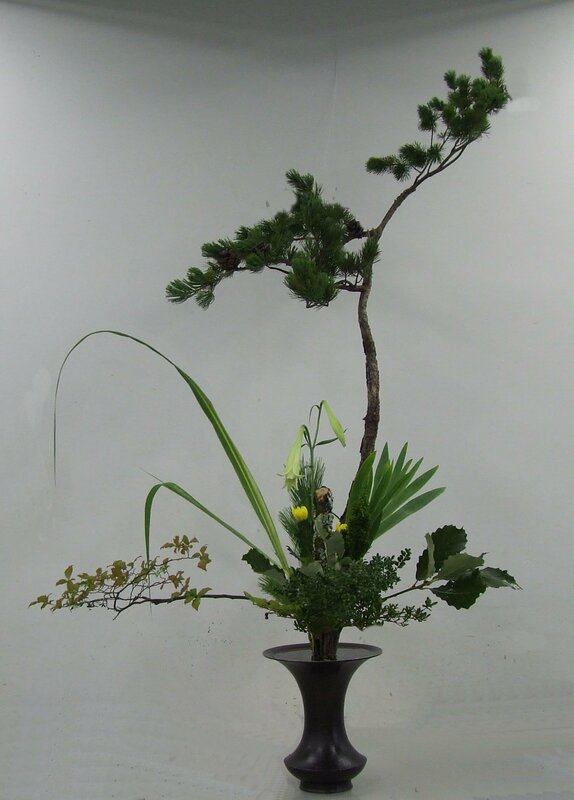 Ikebana began with Ikenobo and although in over 500 years other schools have branched off from Ikenobo, Ikenobo is said to be the origin of ikebana. 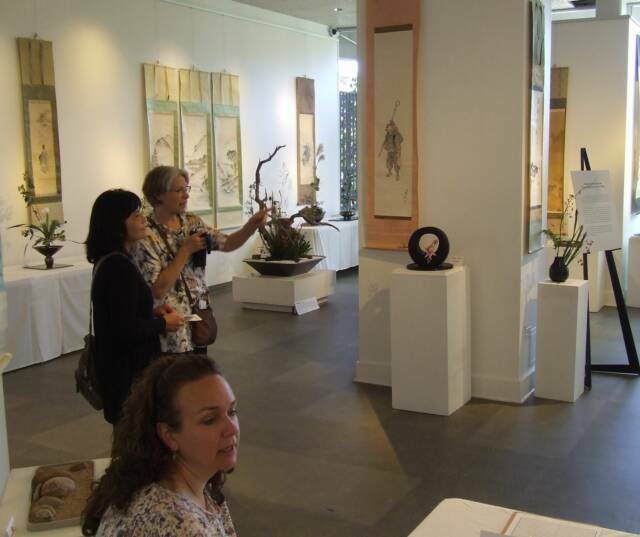 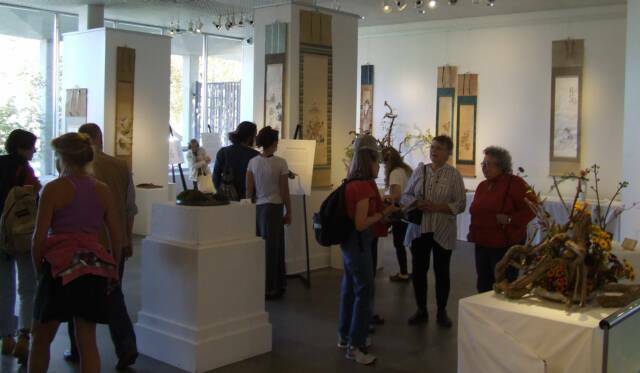 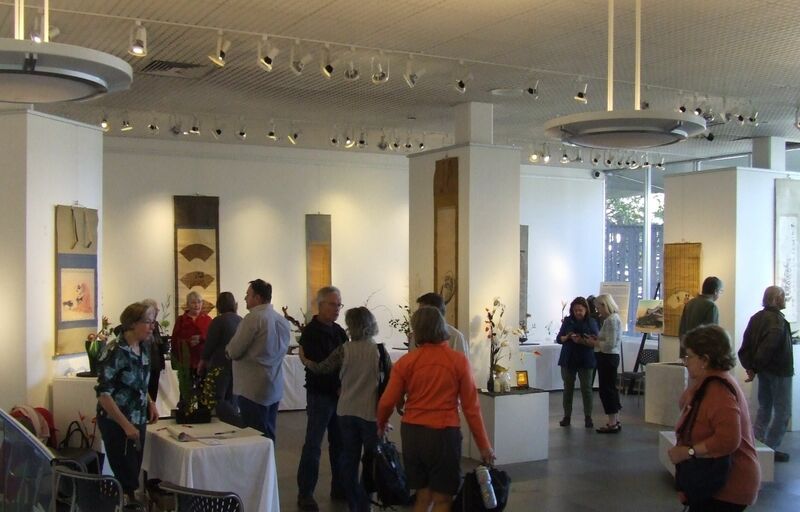 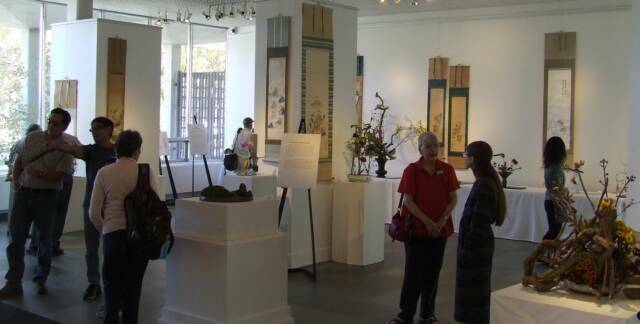 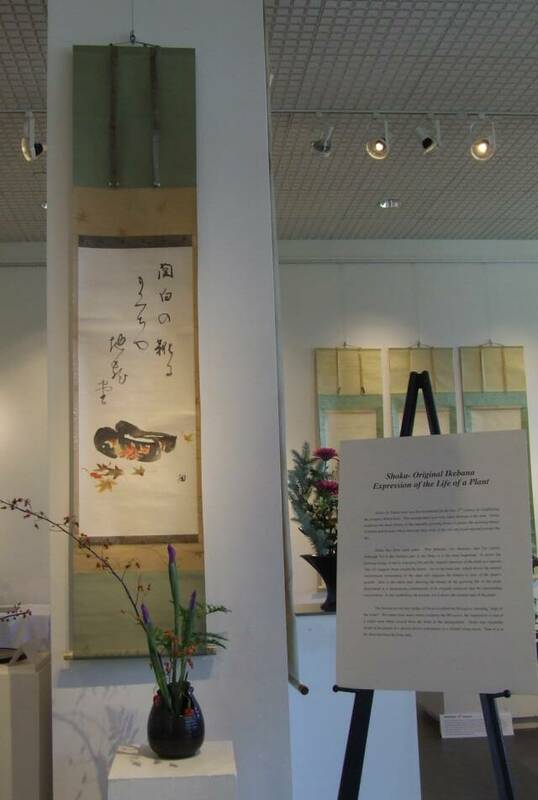 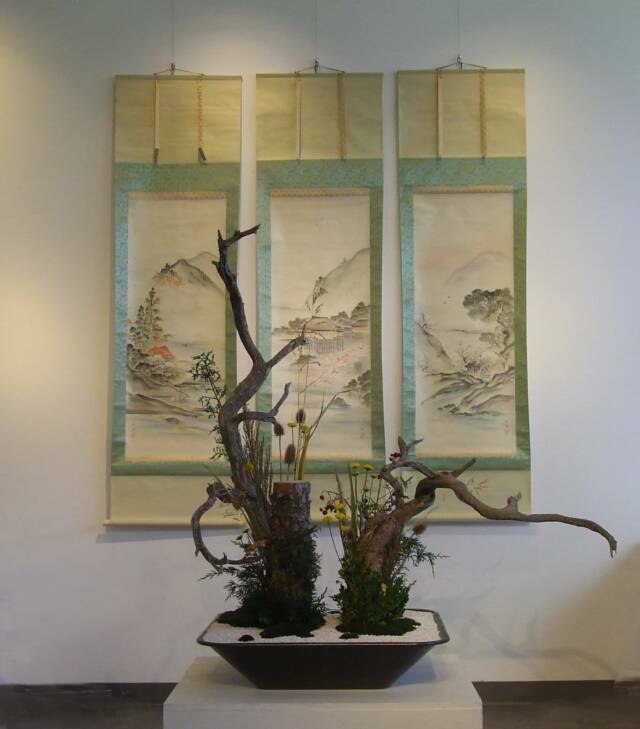 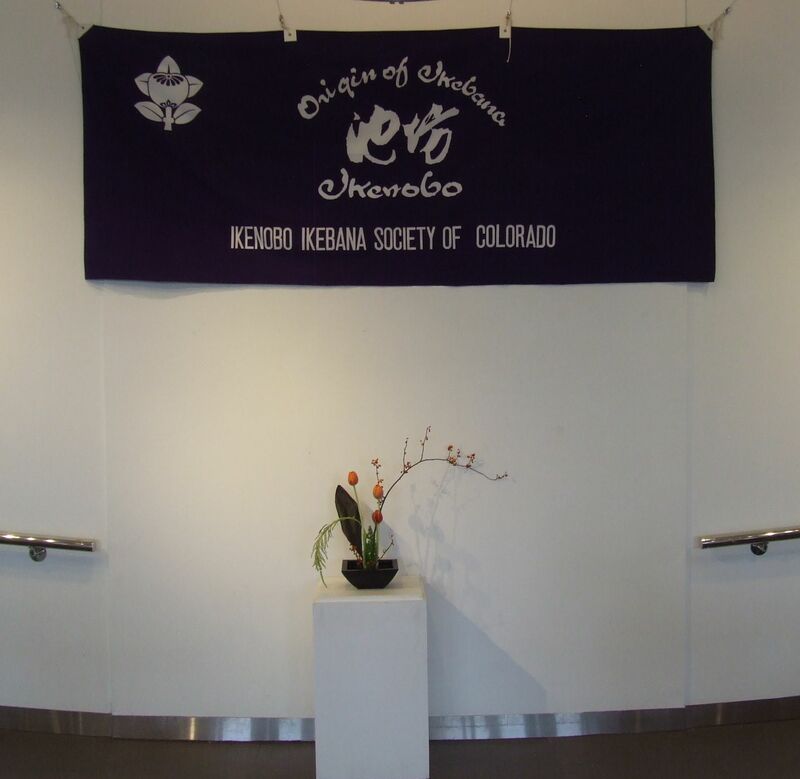 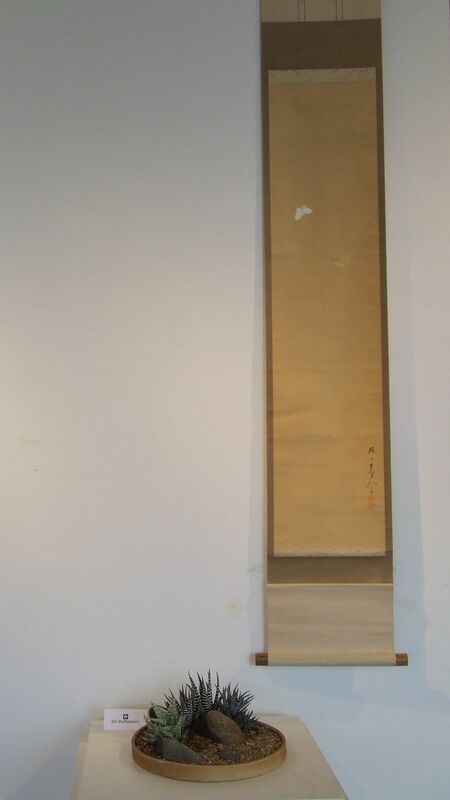 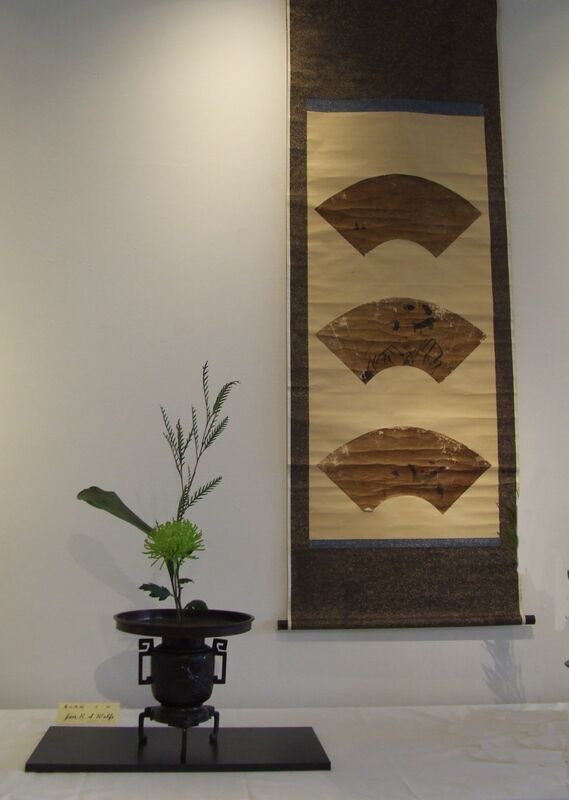 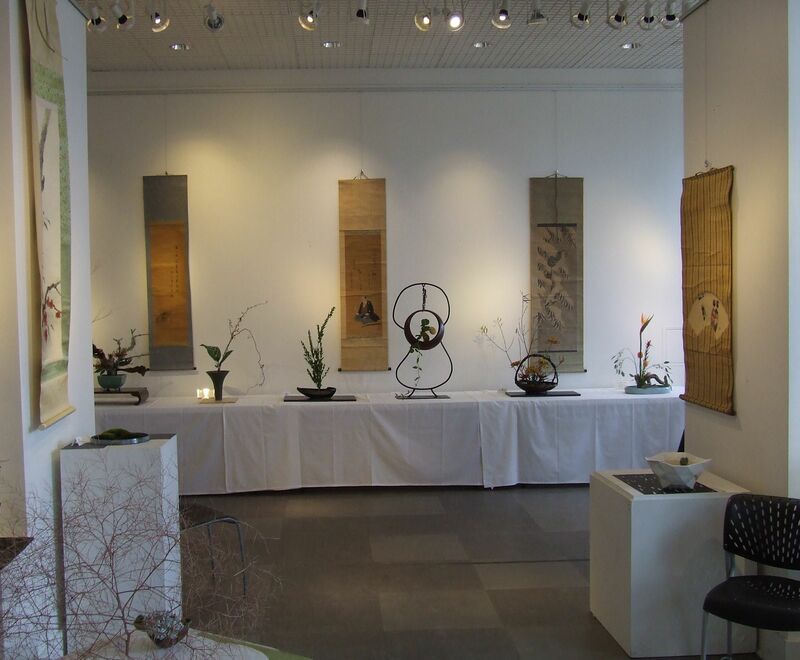 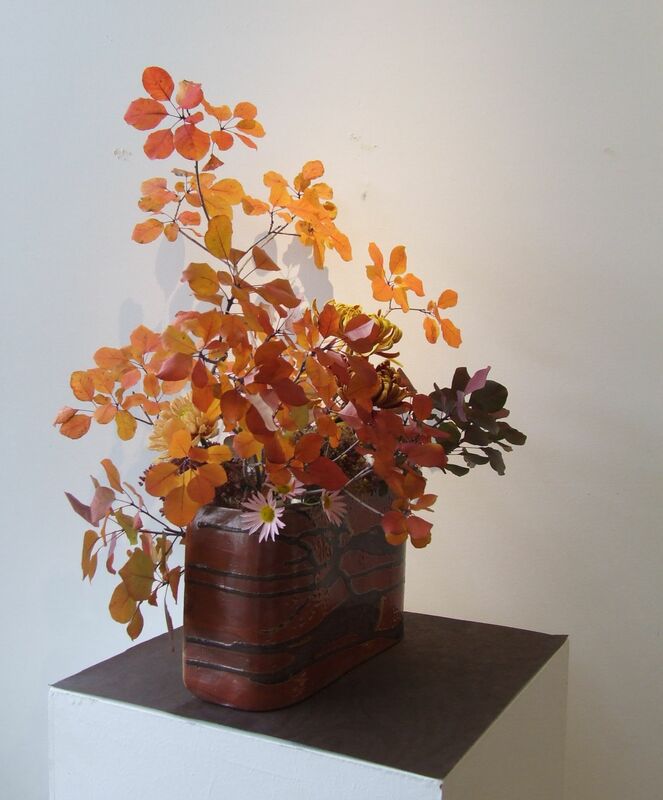 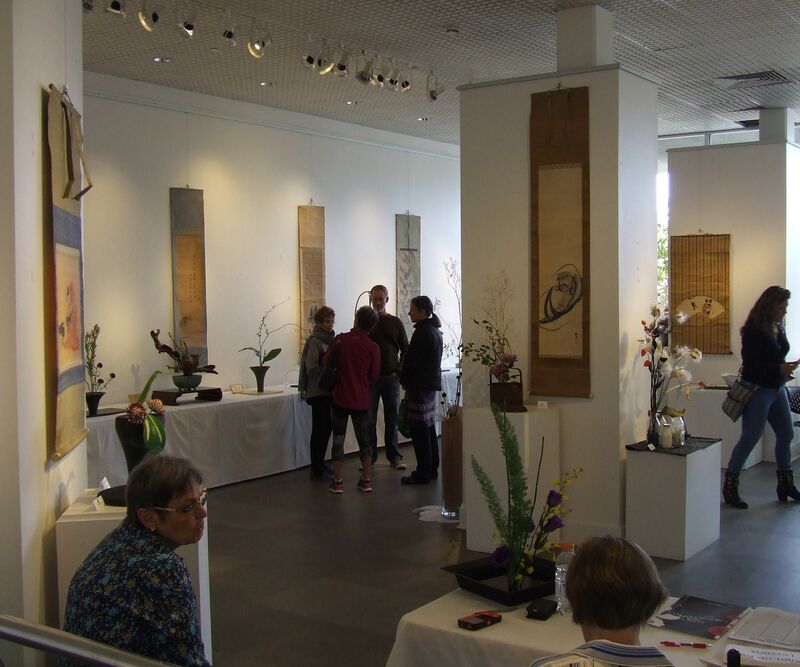 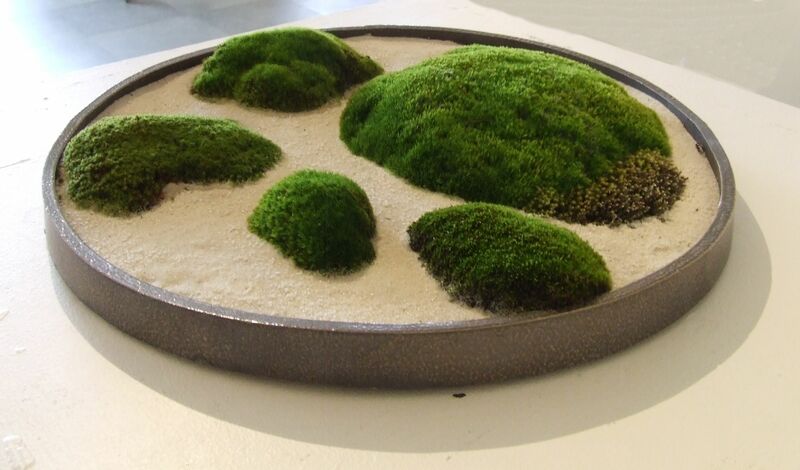 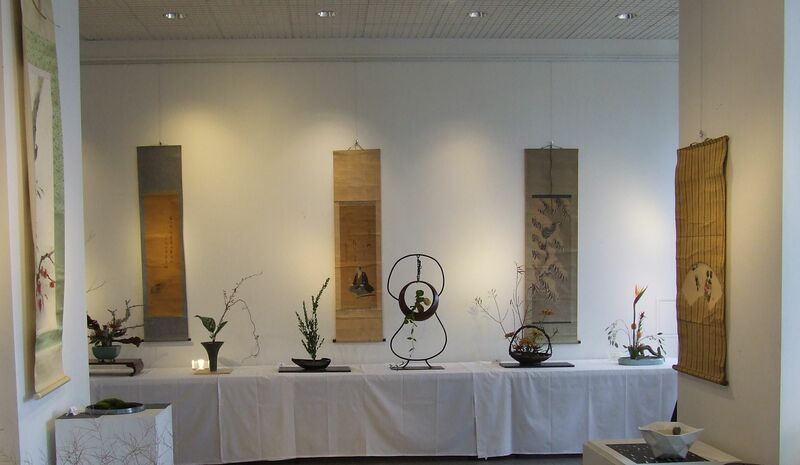 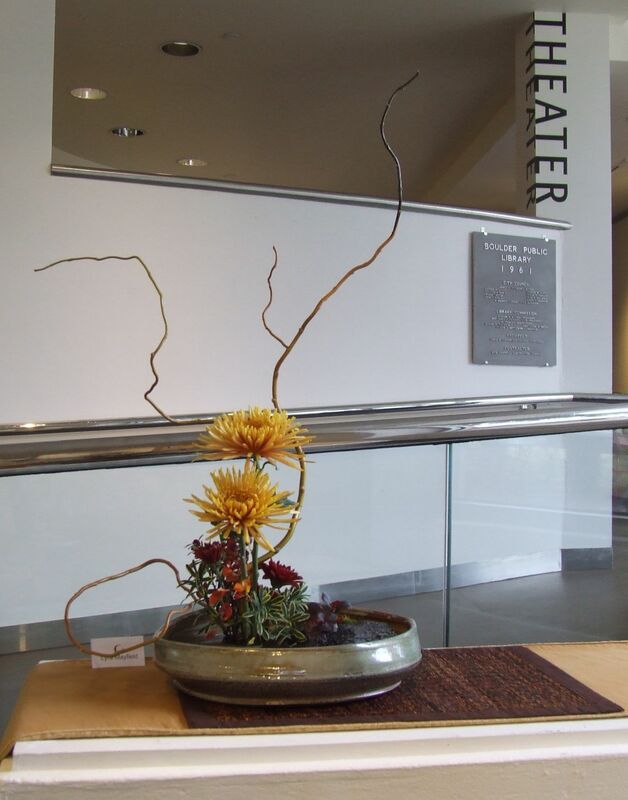 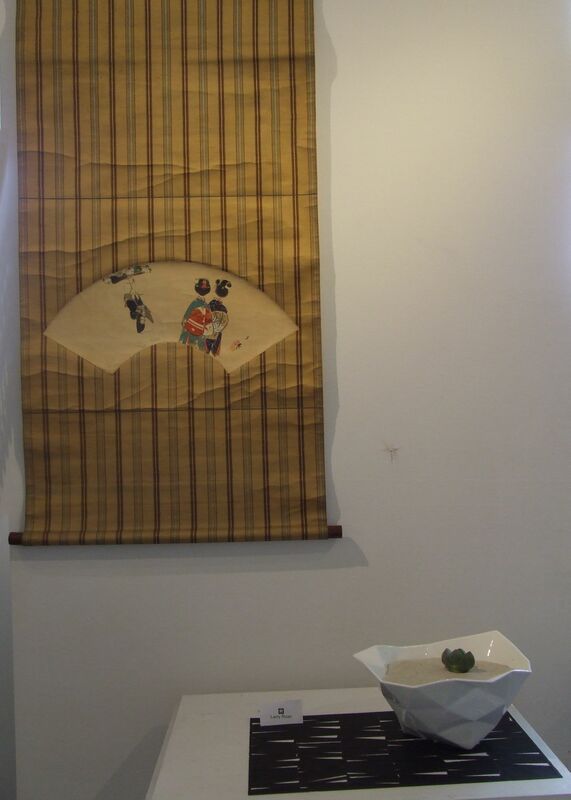 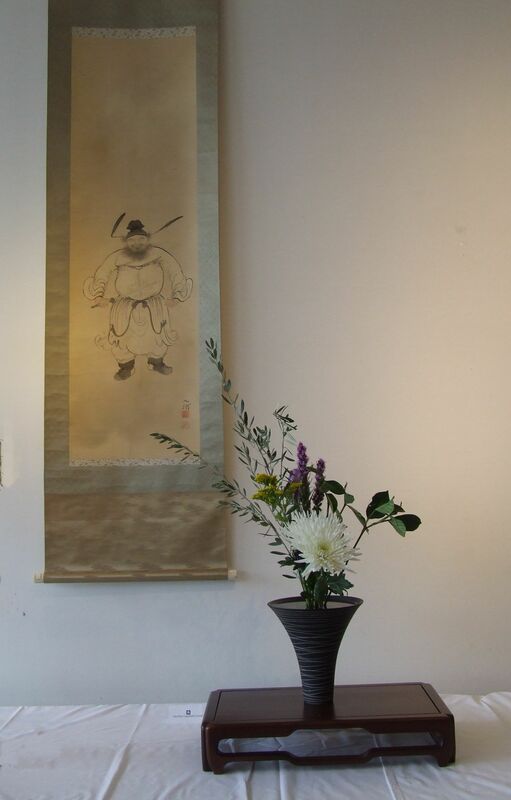 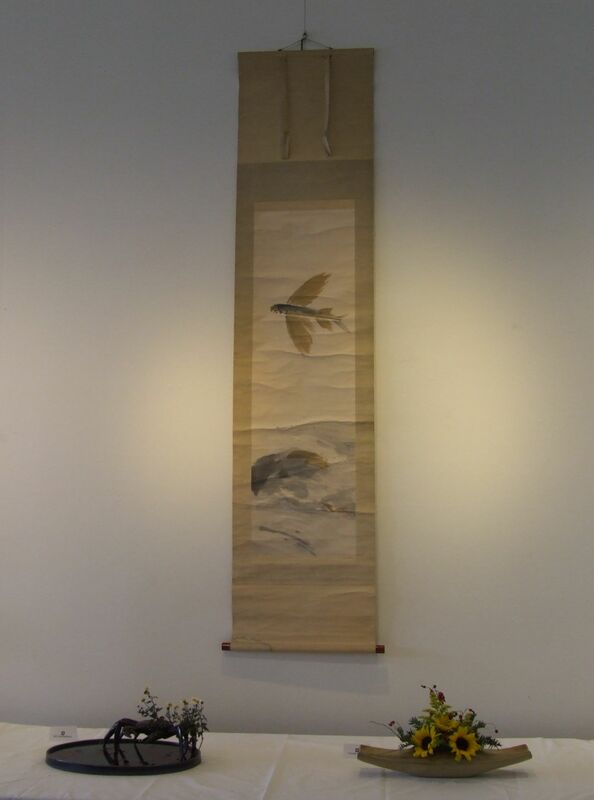 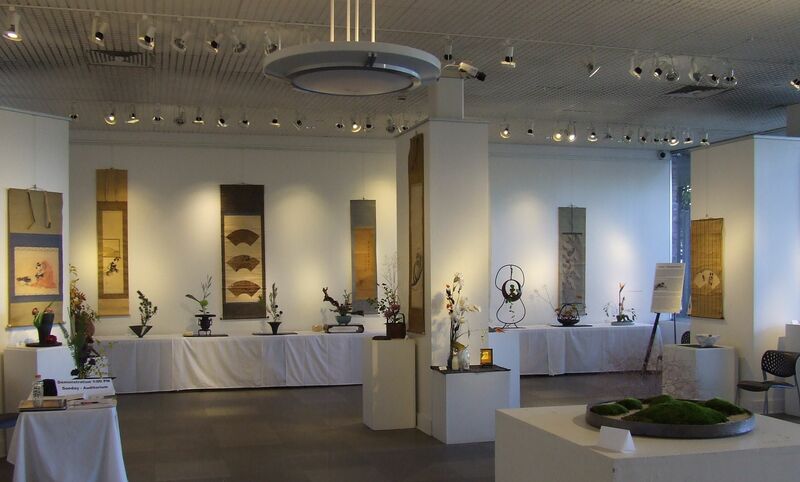 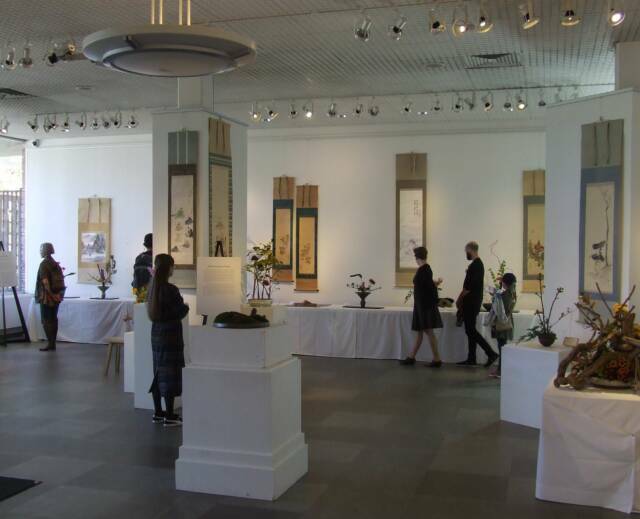 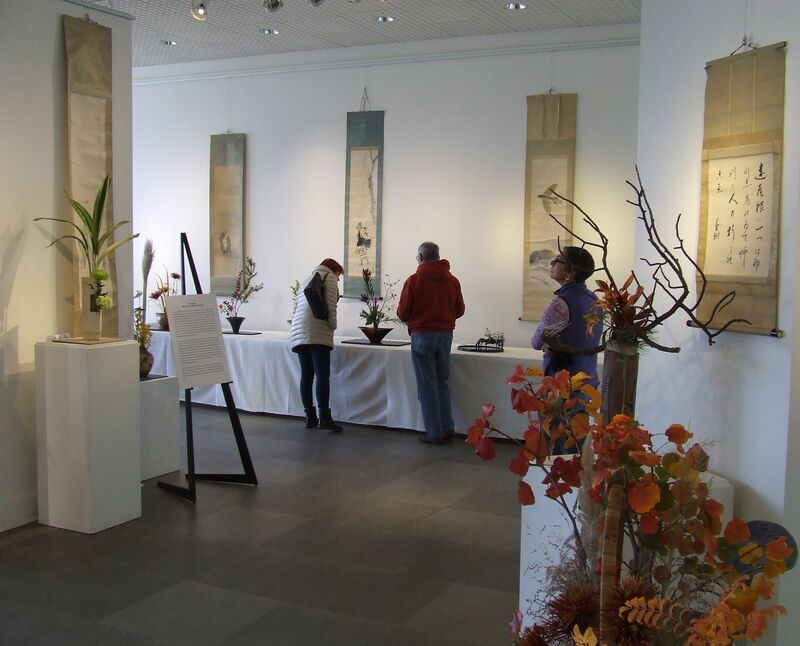 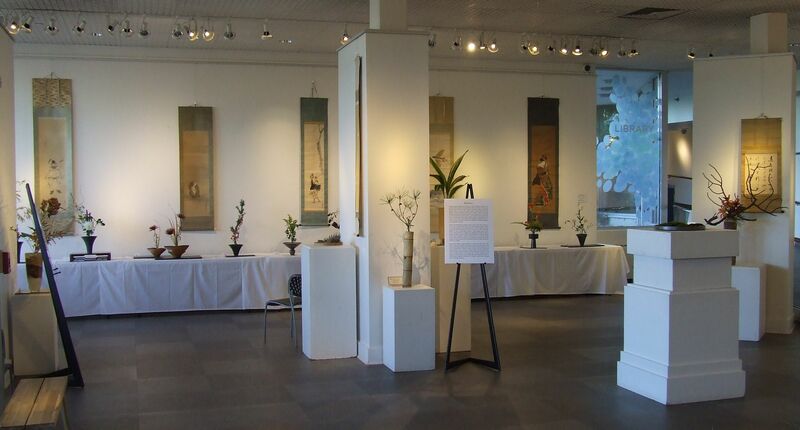 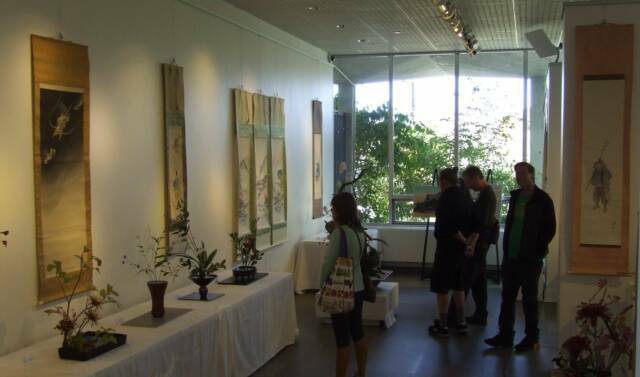 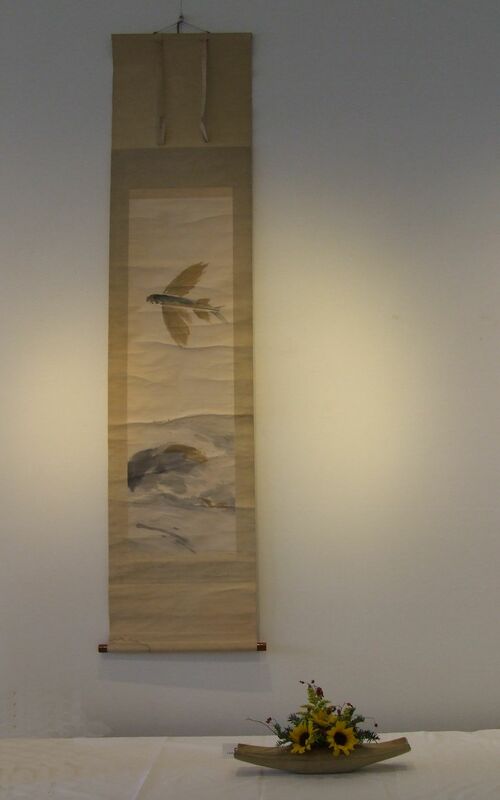 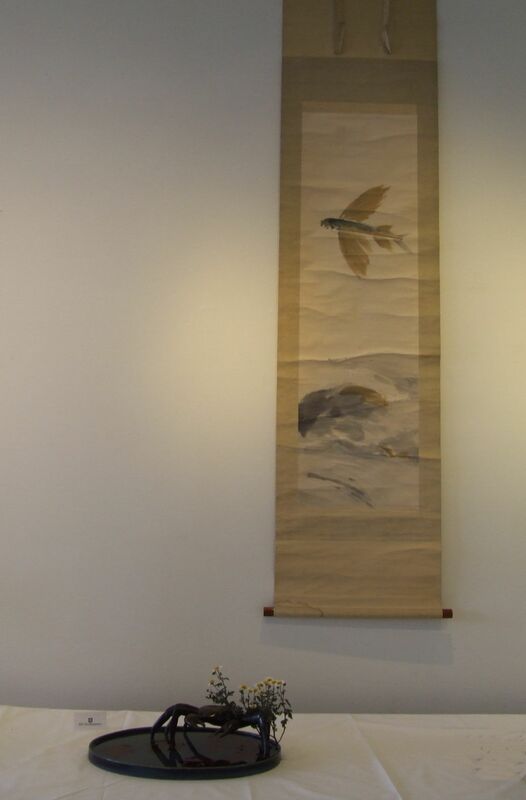 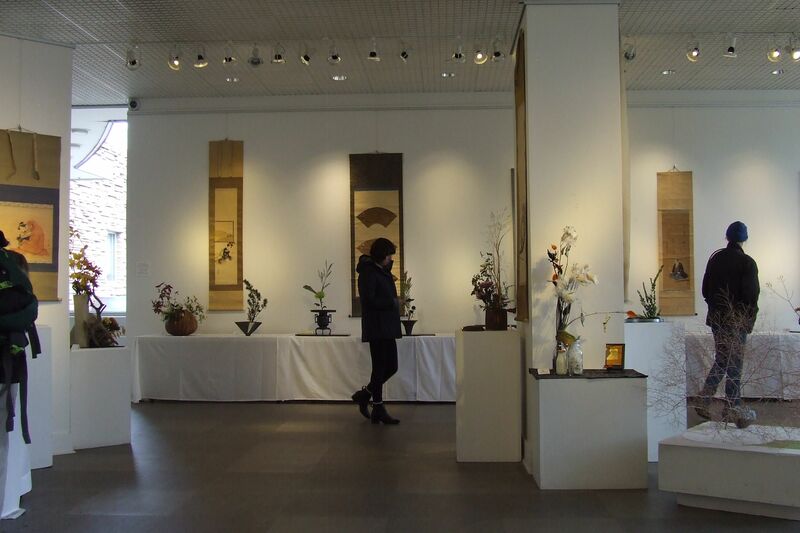 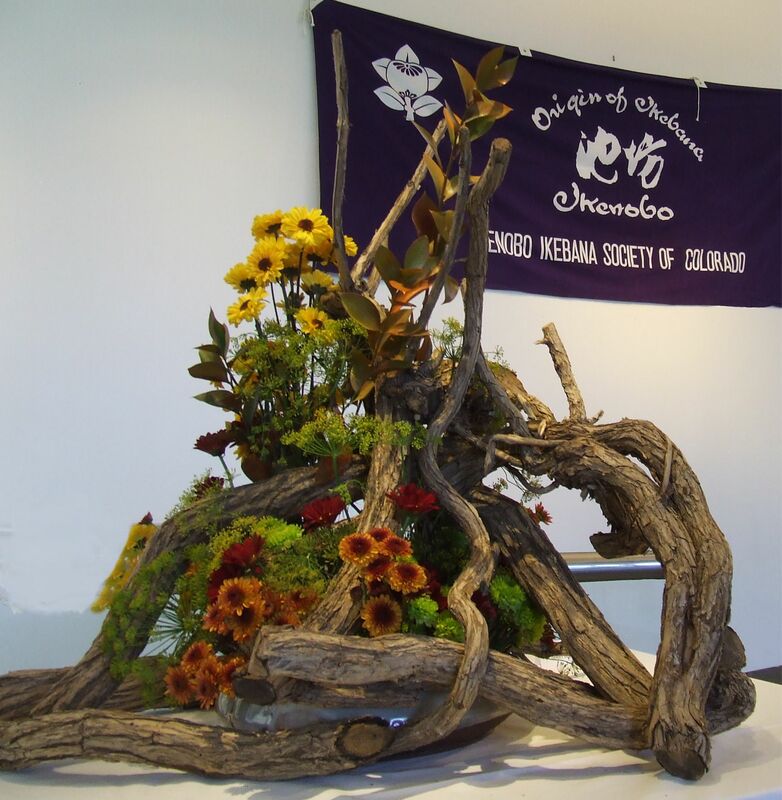 Ikenobo's history encompasses both the traditional and the modern, the two continually interacting to encourage new development in today's ikebana. 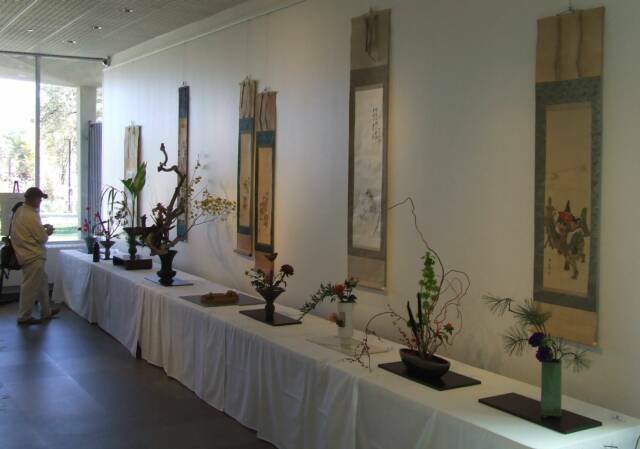 People in every era have loved flowers, but our predecessors in ikebana felt that flowers were not only beautiful but that they could reflect the passing of time and the feelings in their own hearts. When we sense plant's unspoken words and silent movements we intensify our impressions through form, a form which becomes ikebana. 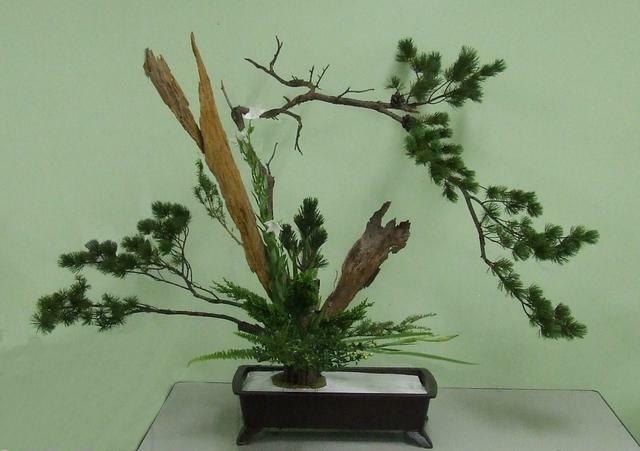 We arrange plants cut and removed from nature so that they are filled with new beauty when placed in a new environment. 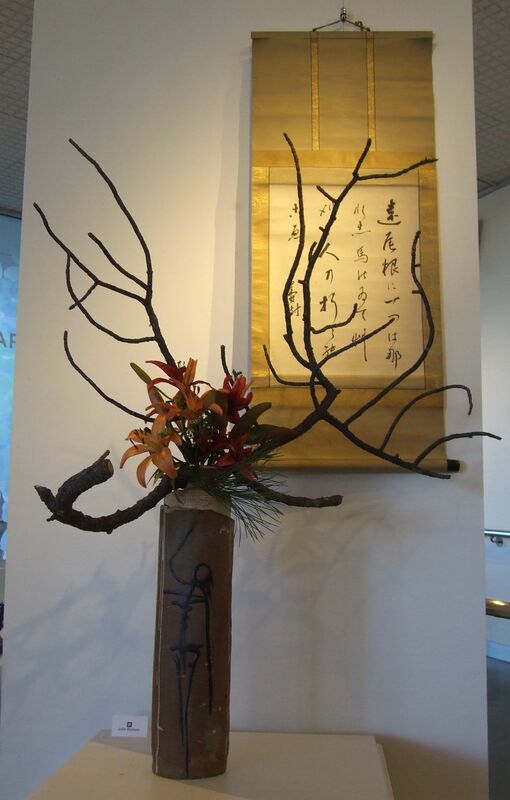 Rather than simply re-create the shape a plant had in nature, we create with branches, leaves, and flowers a new form which holds our impression of a plant's beauty as well as the mark of our own spirit. 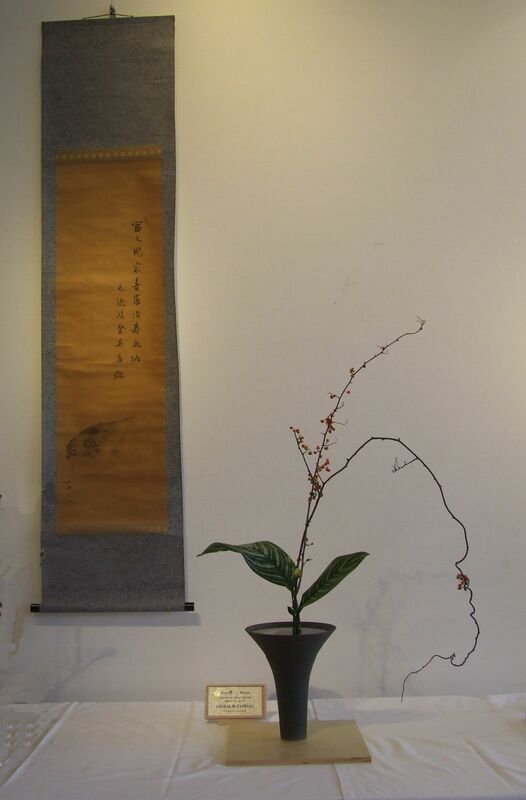 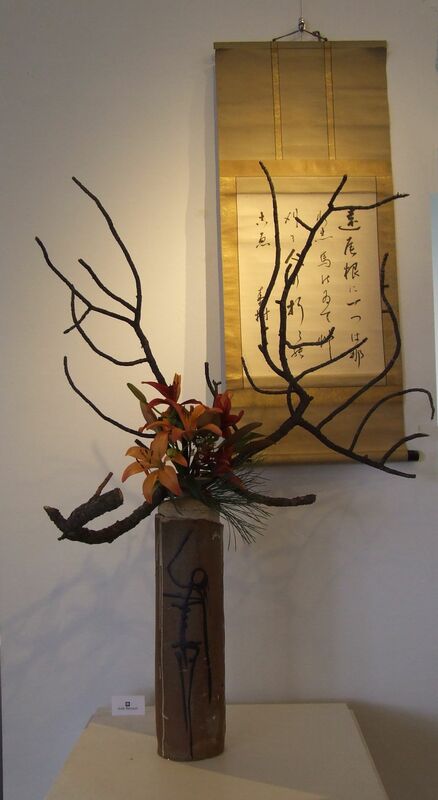 Ikebana should also suggest the forces of nature with which plants live in harmony - branches bent by winter winds ... a leaf half-eaten by insects. 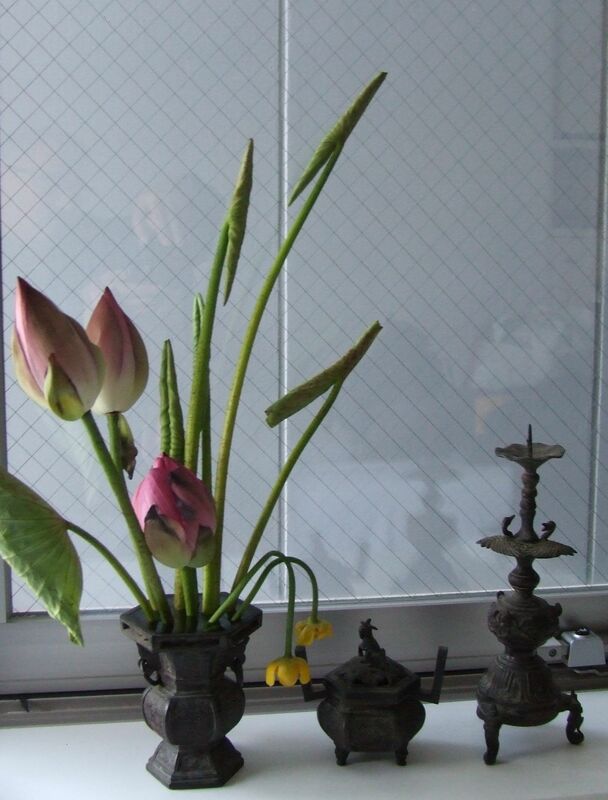 Ikenobo considers a flower's bud most beautiful, for within the bud is the energy of life's opening toward the future. 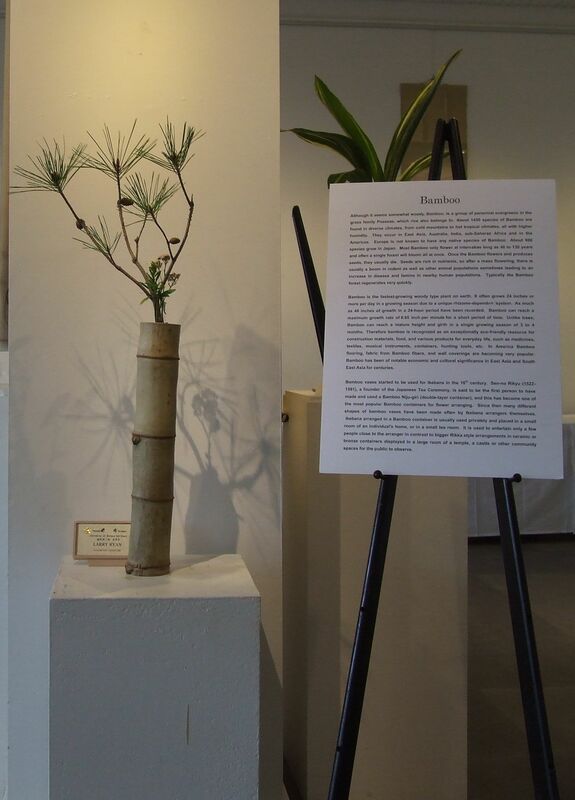 Past, present, future ... in each moment plants, and humans, respond to an ever-changing environment. 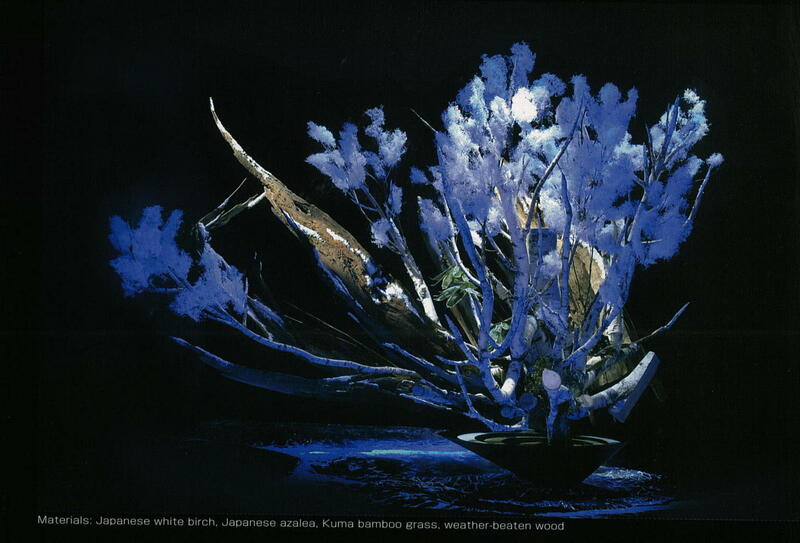 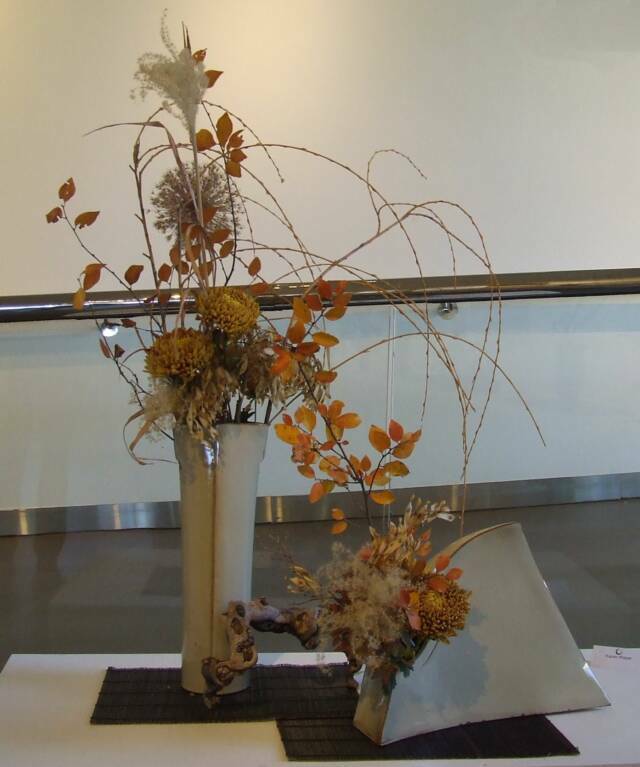 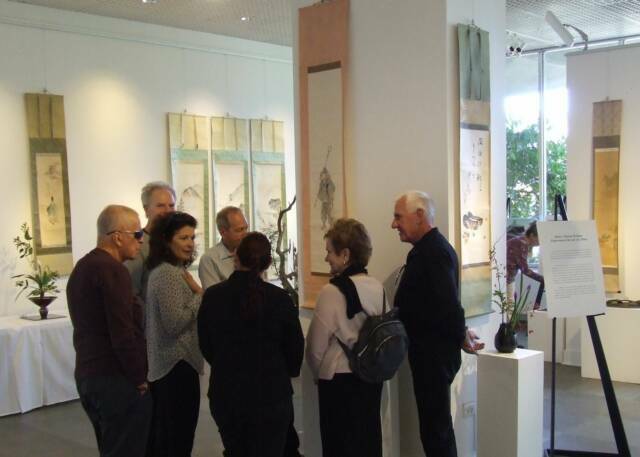 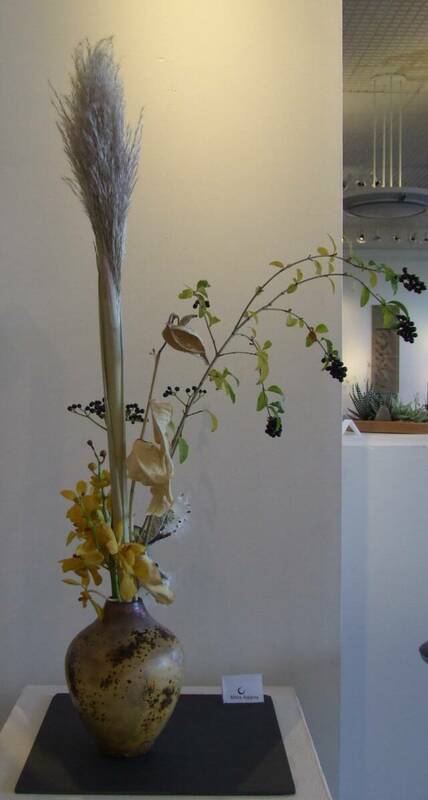 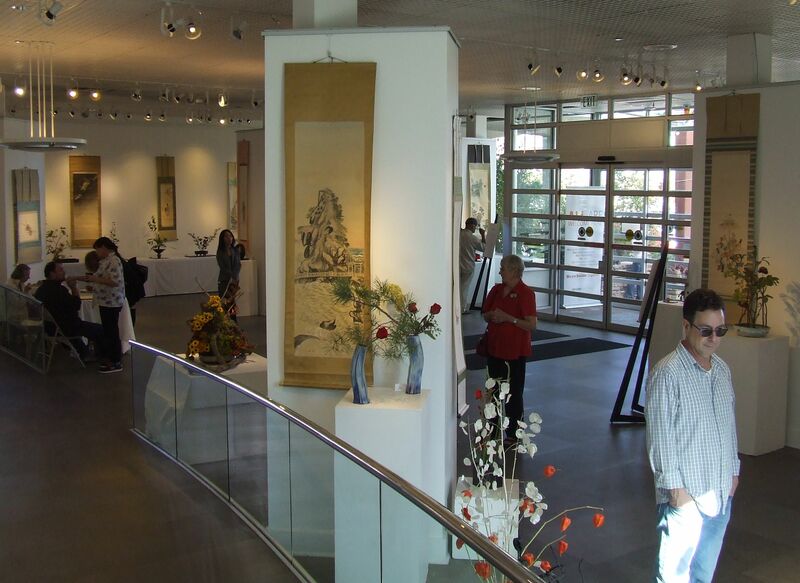 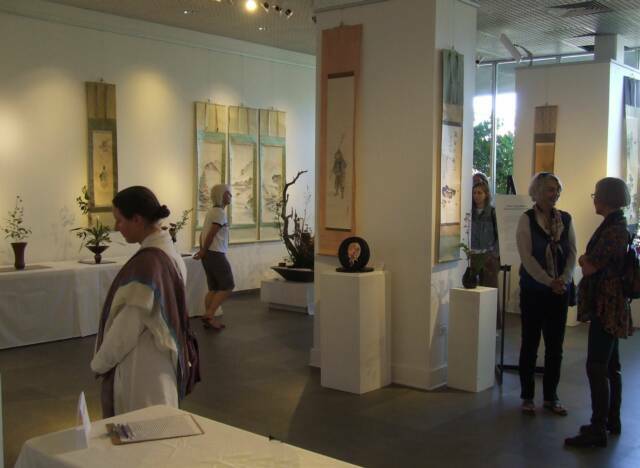 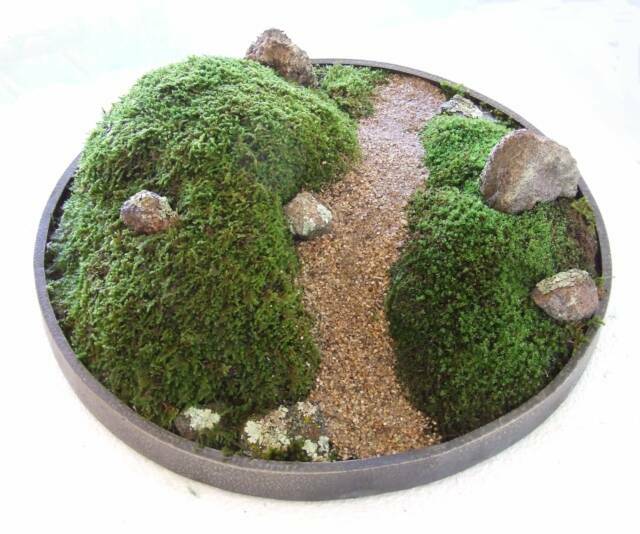 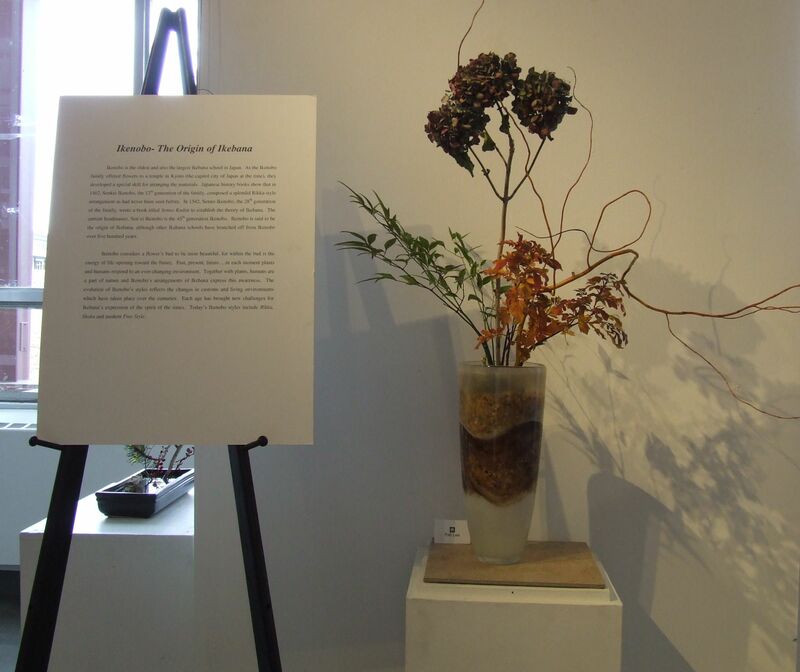 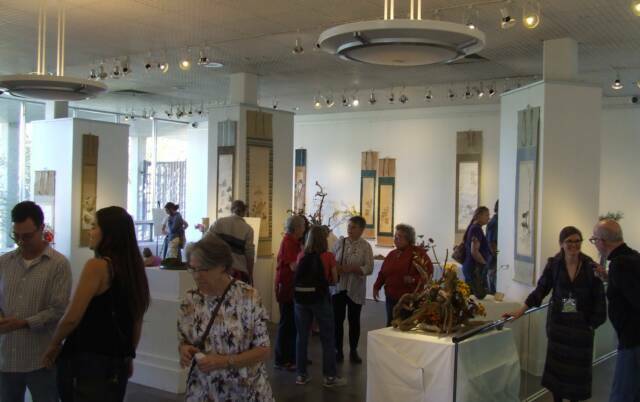 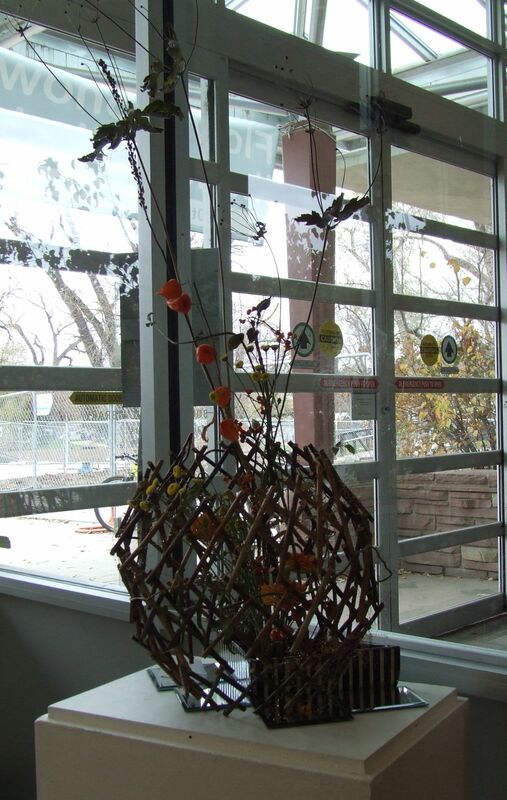 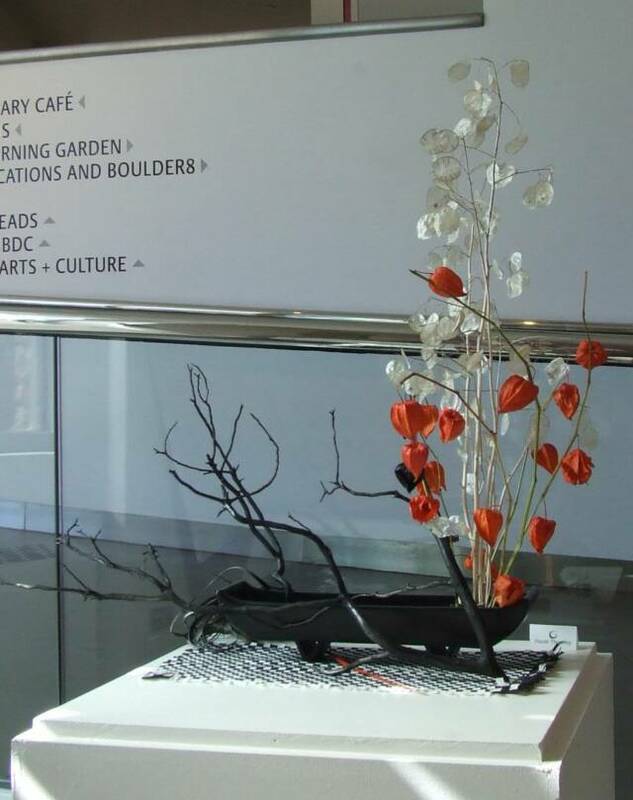 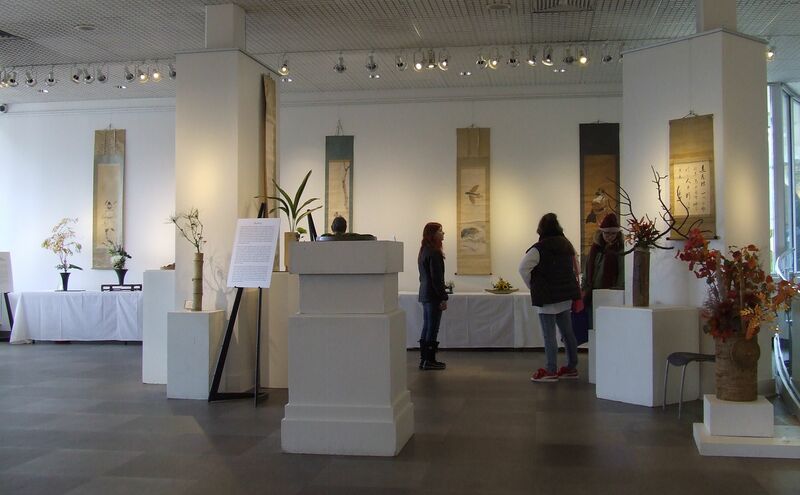 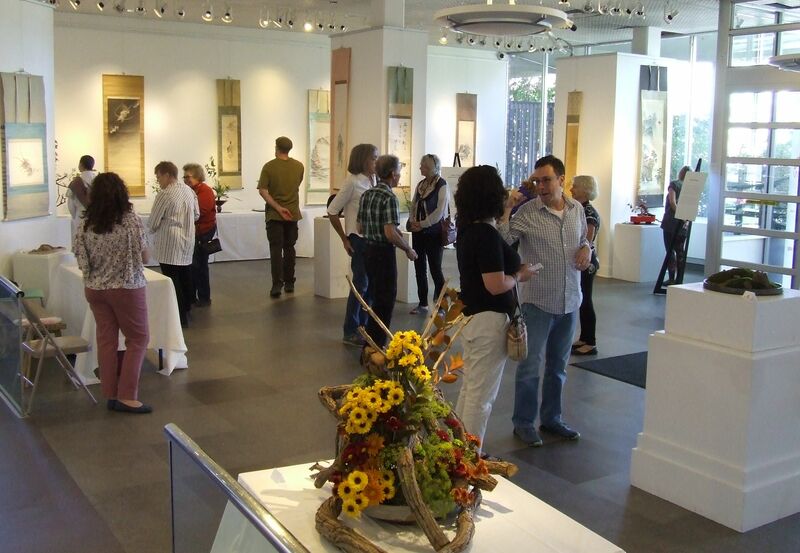 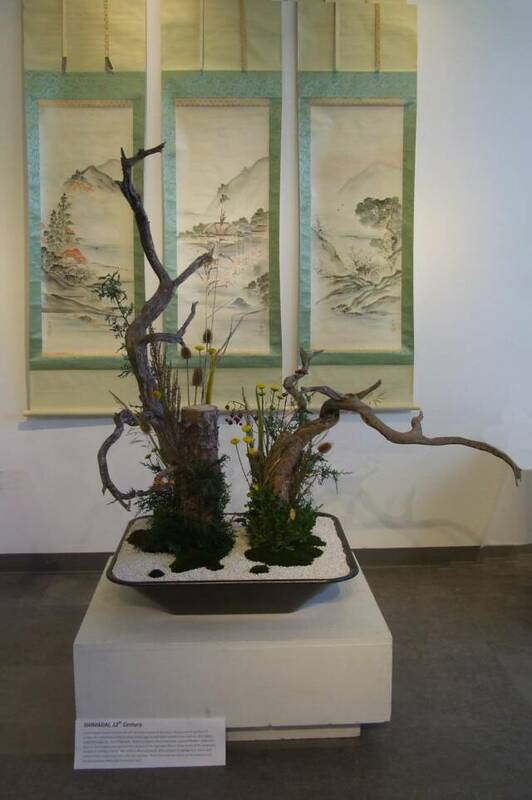 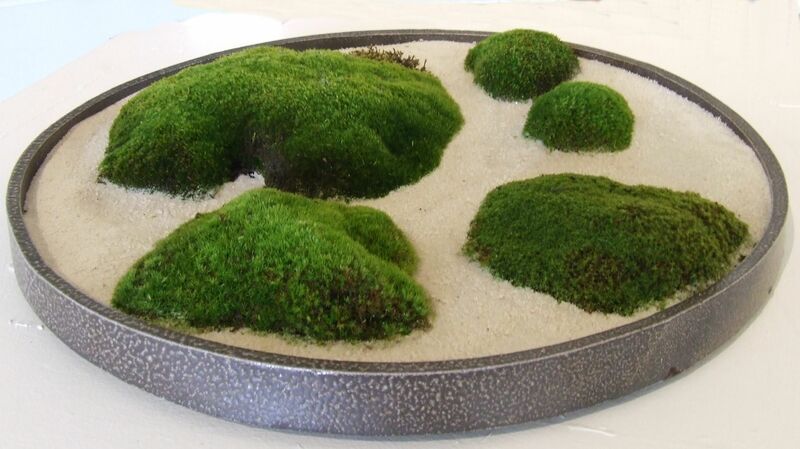 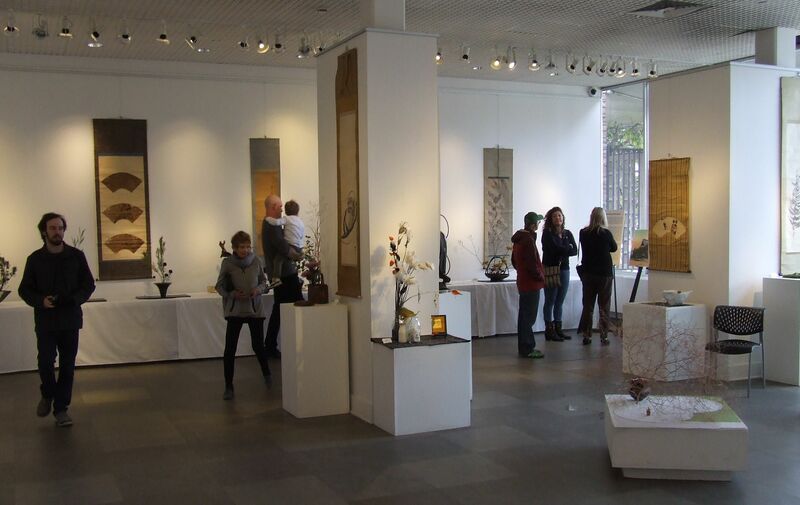 Together with plants, humans are vital parts of nature and our arranging ikebana expresses this awareness. 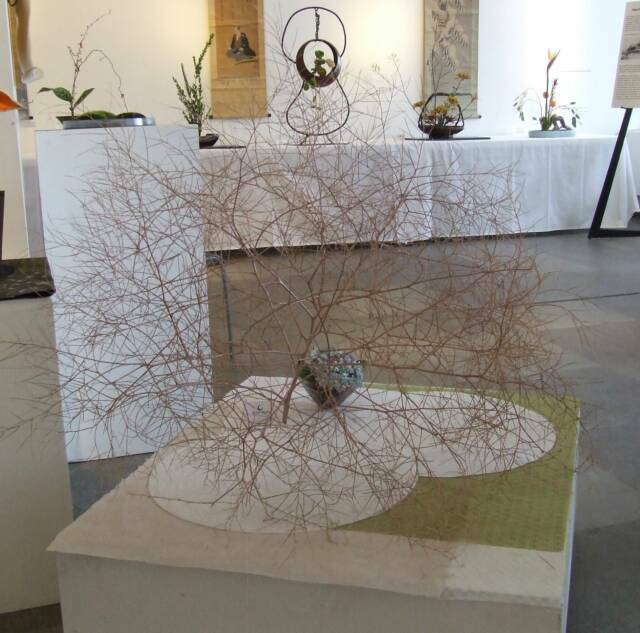 People are often inspired by the way plants endure intense cold. 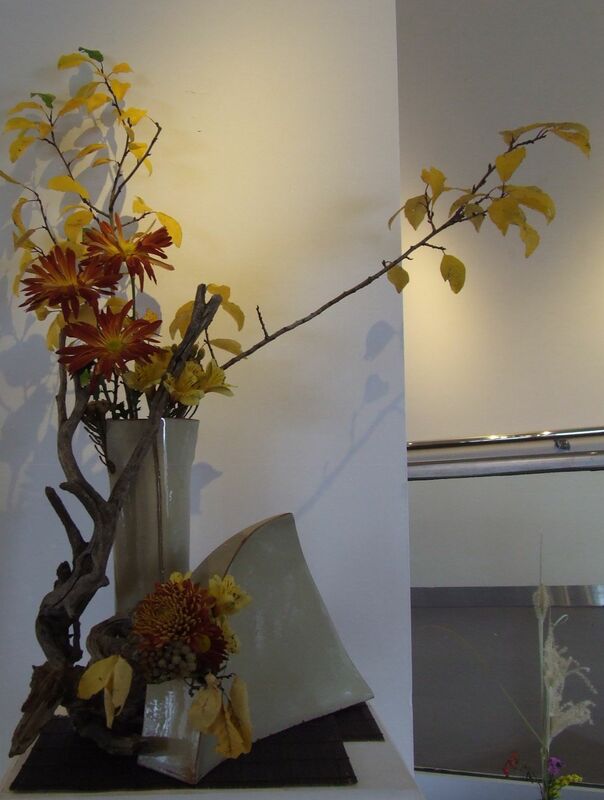 As we look at an old white birch standing tall on the ground, we understand the long period of time during which the tree tolerated the cold. 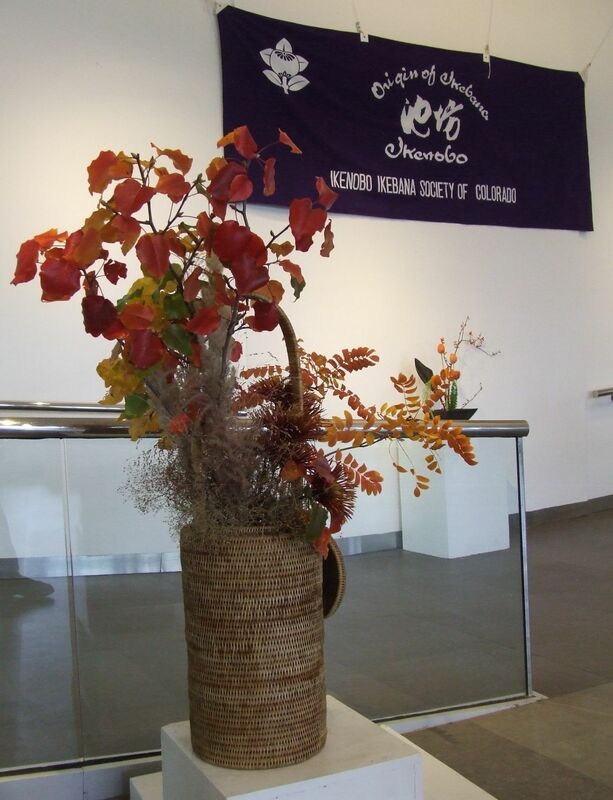 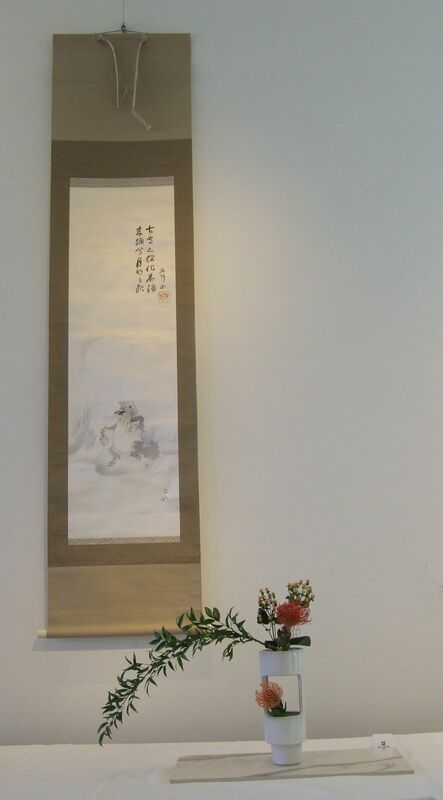 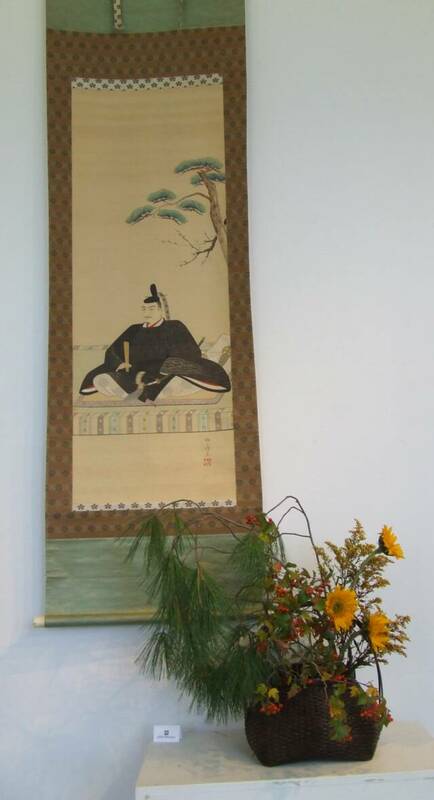 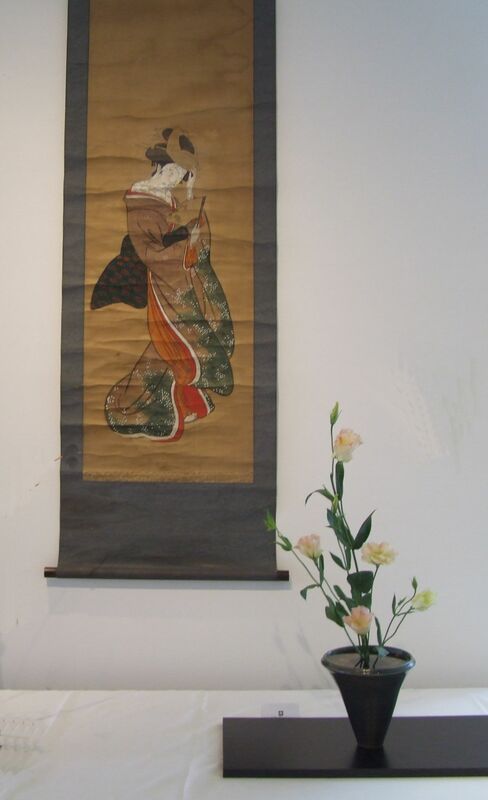 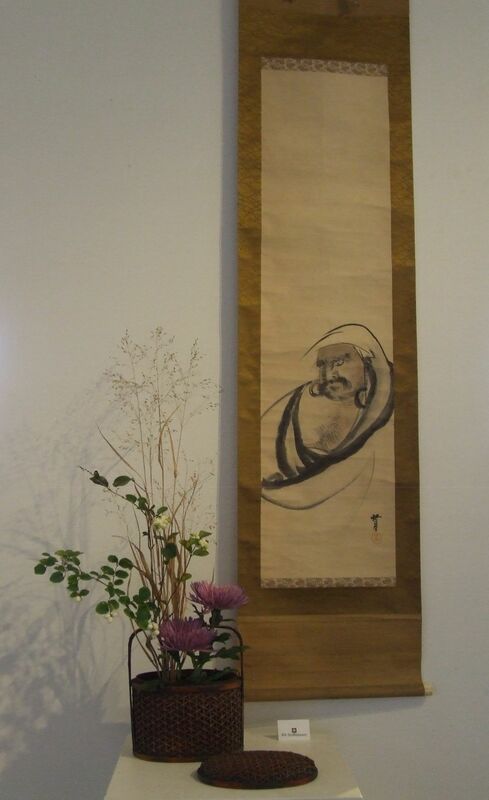 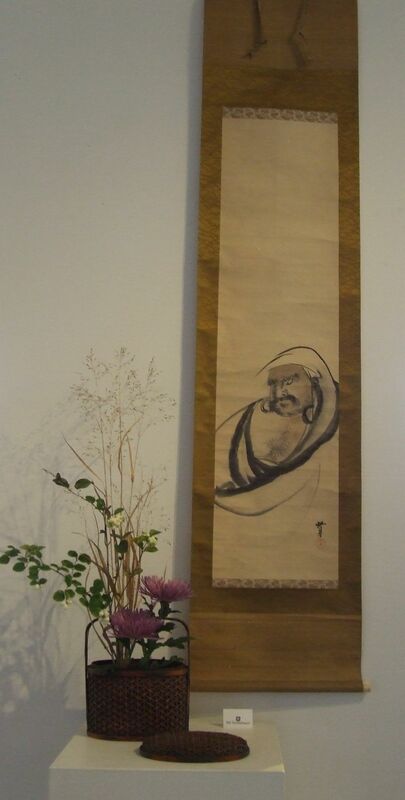 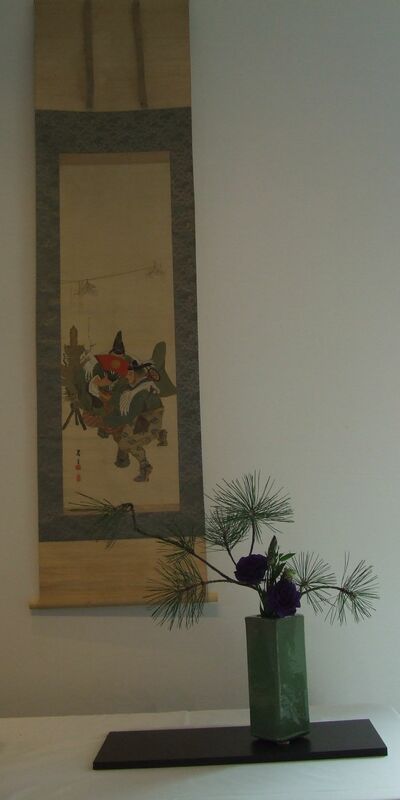 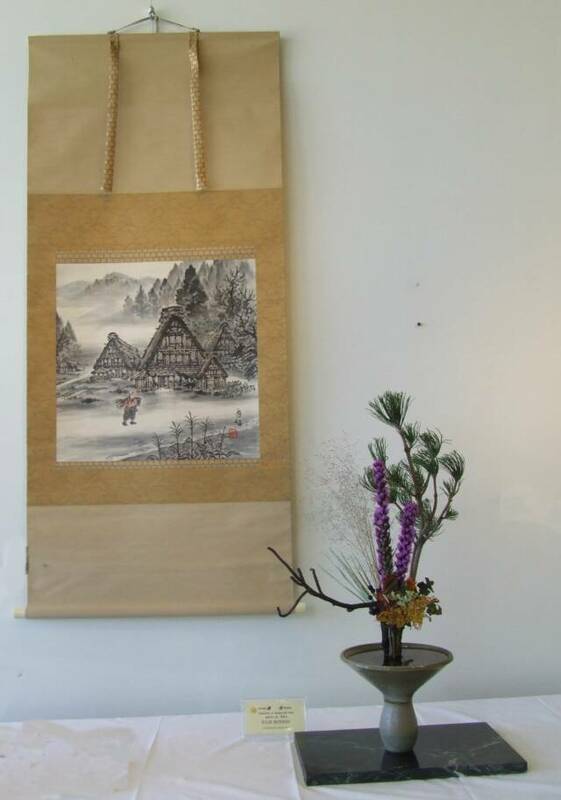 It was Sen’ no Ikenobo , our ancestor, who said that the beauty of flower arrangements is found in a “virtuous vestige”. 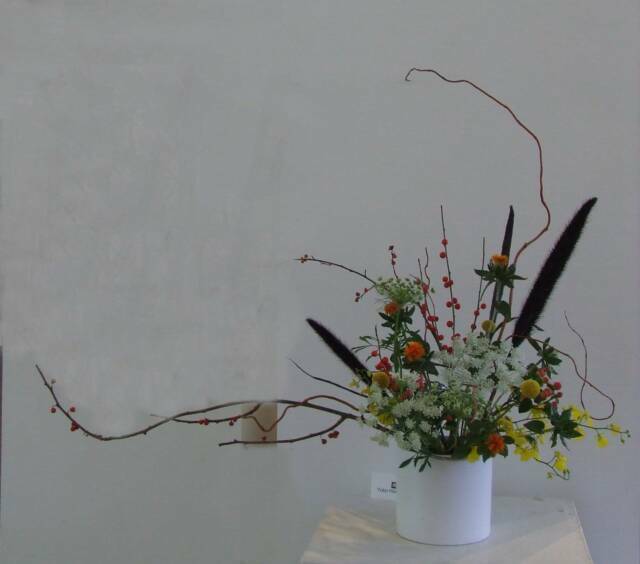 What one sees visually is nothing more than colors and shapes. 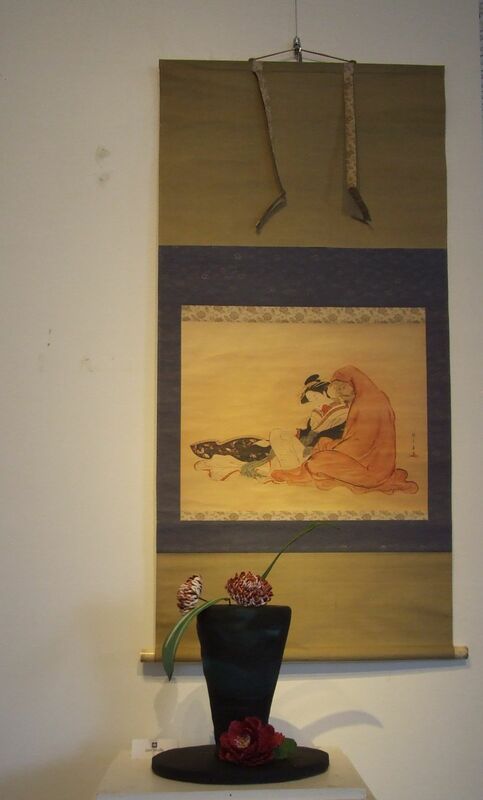 However, what impresses us is the true figure behind the colors and shapes, which is invisible. 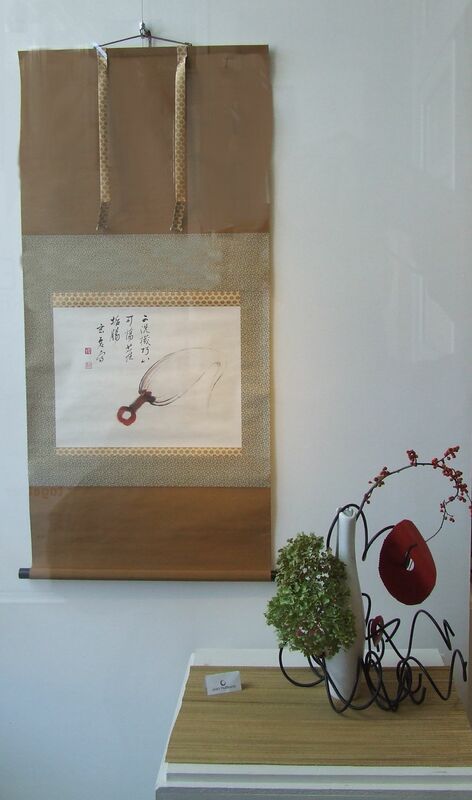 Rikka Shimputai is the newest of Ikenobo’s styles, transcending the traditional Rikka Style. 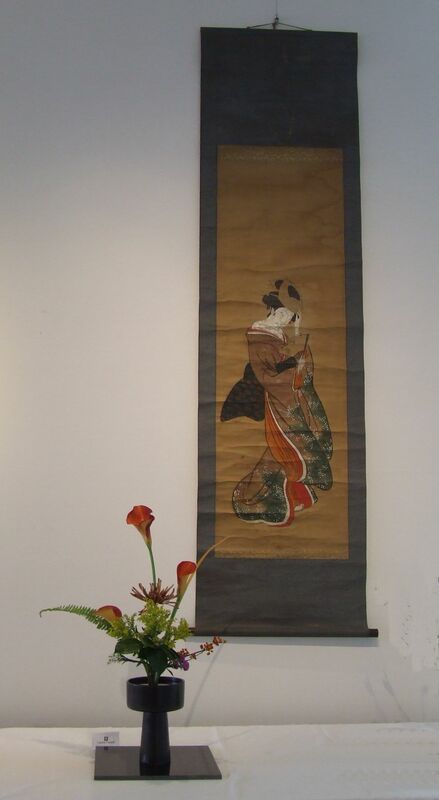 Nevertheless, the origin of this all comes down to “virtuous vestige”. 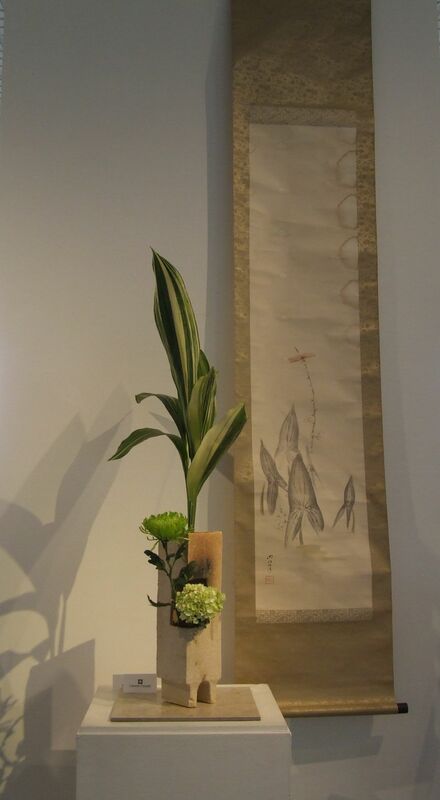 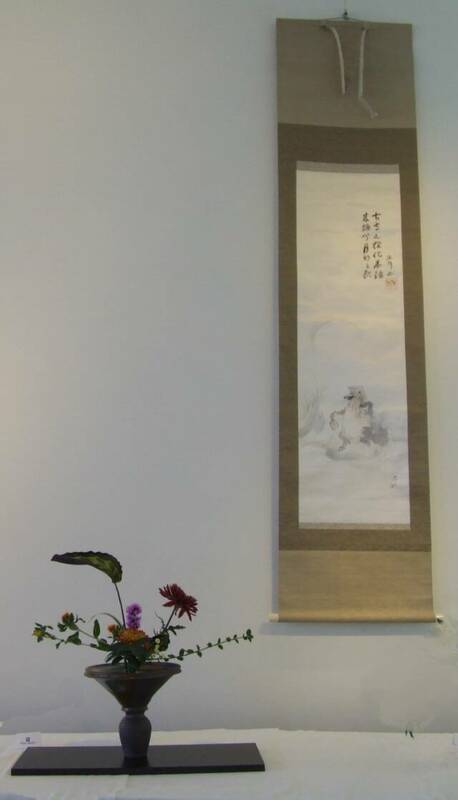 Only a refined spirit allows the pursuit of Ikebana to penetrate to the inner heart of people and to last from yesterday to today, today to tomorrow, and to the future. 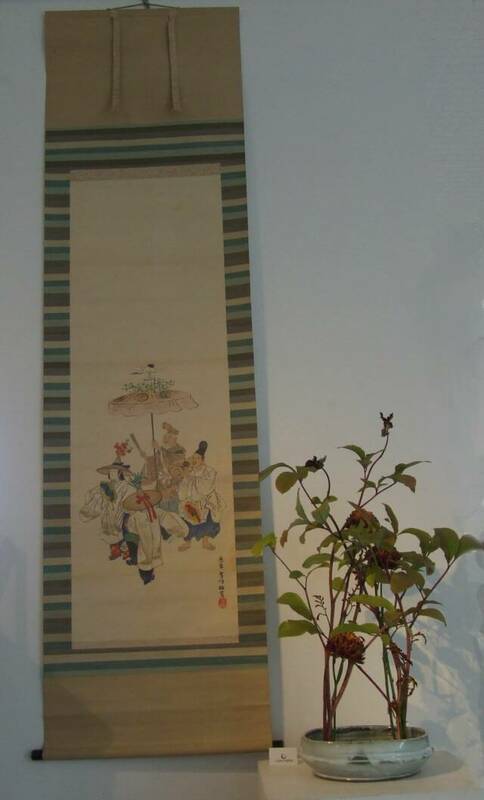 Click on the Thumbnail to view full size picture.